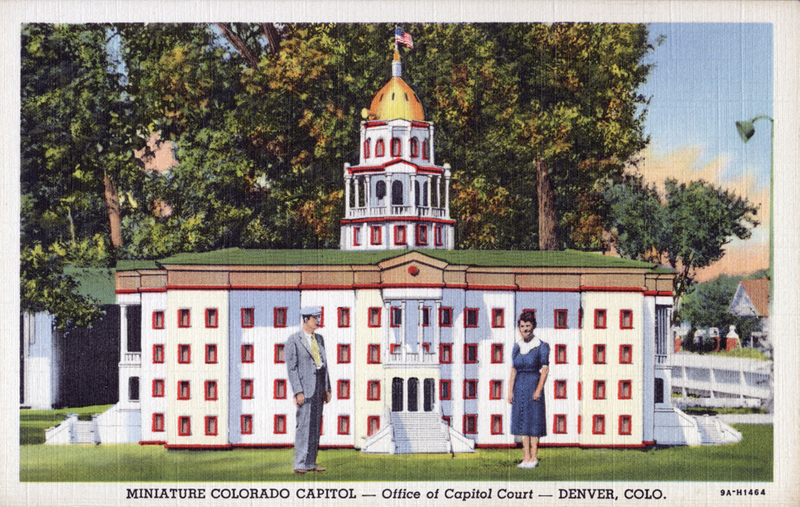 * This site is maintained as a public service to the people of Colorado and the World. Feel free to use our information and images, just please return the courtesy by a link back to our site. 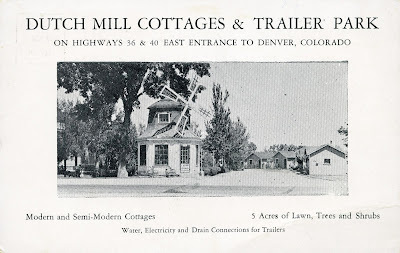 A lot of work went into this page! 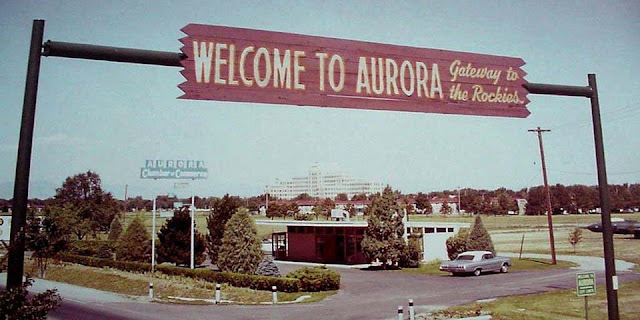 Special thanks to Jonny Barber, Lyle Miller, Walt Hackney, the Aurora History Museum, the Lakewood Heritage Center, and the Denver Public Library. 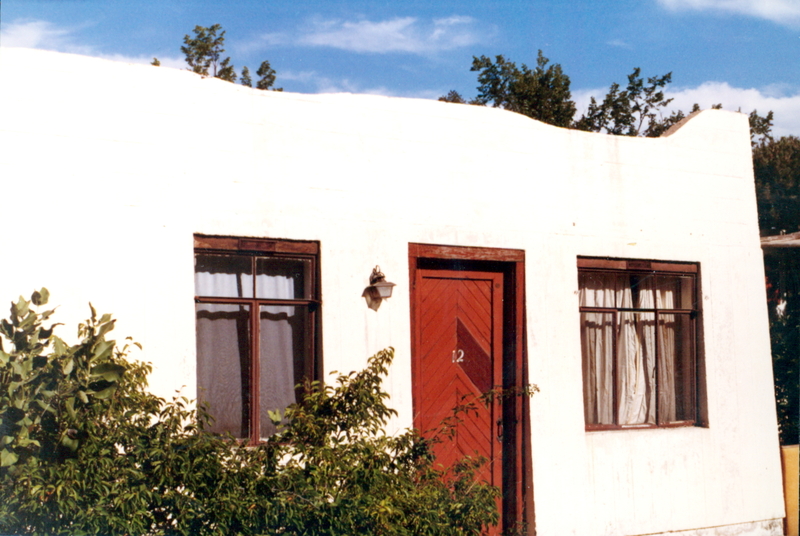 We also welcome any corrections or contributions. 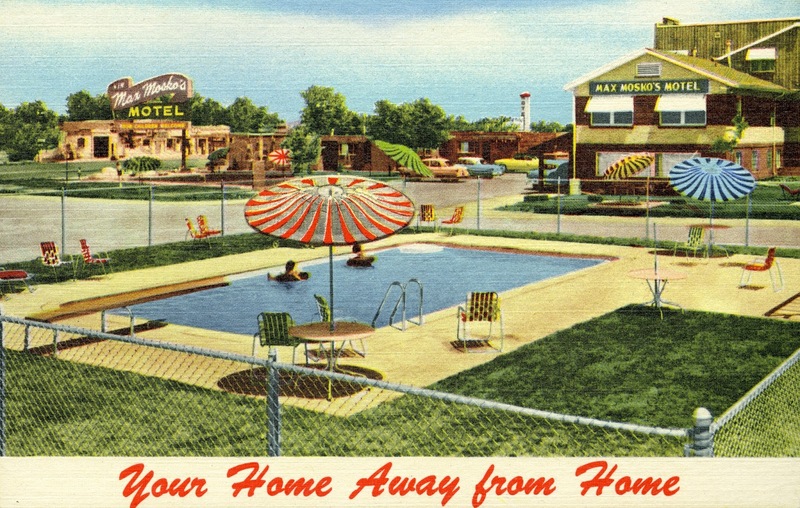 Thanks and enjoy! 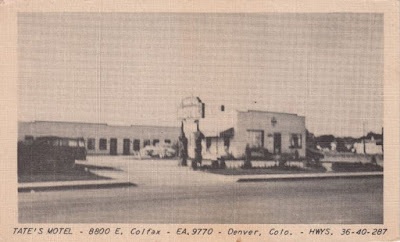 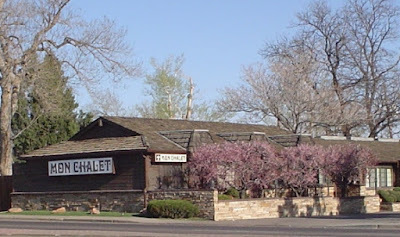 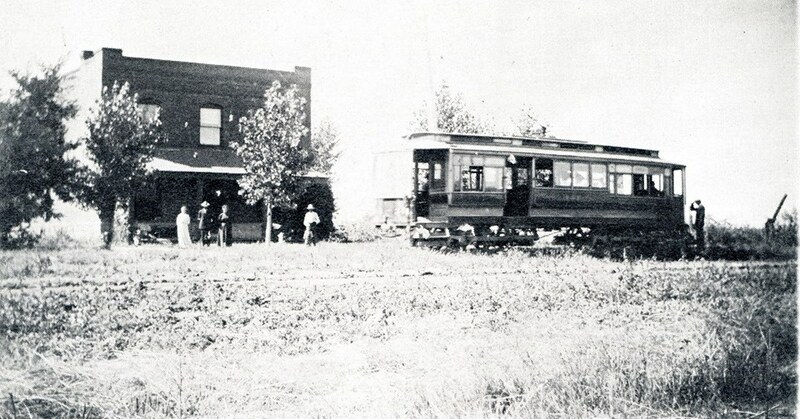 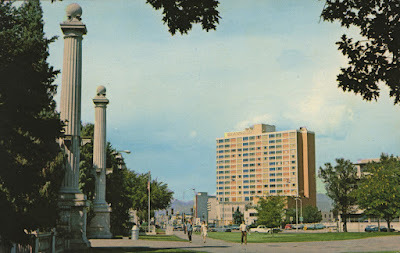 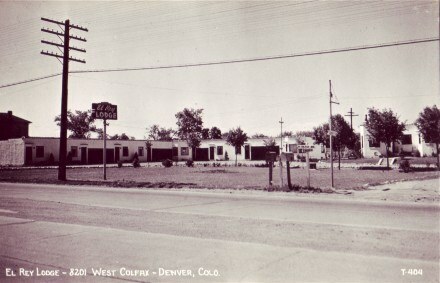 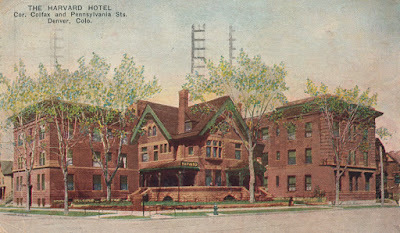 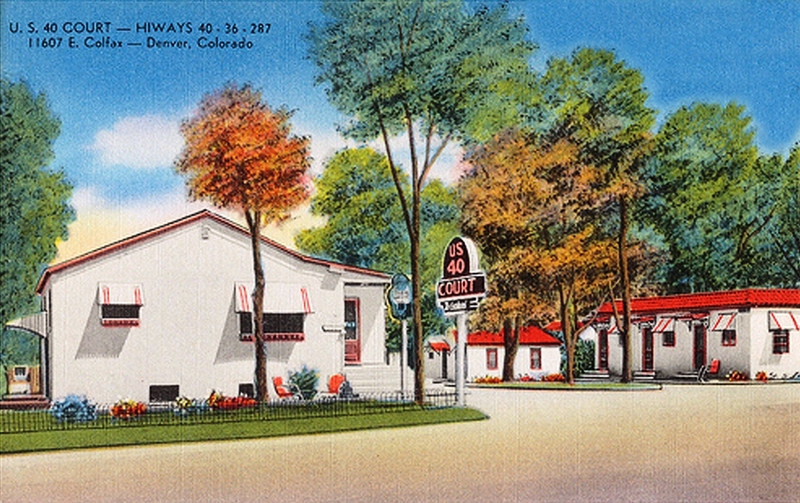 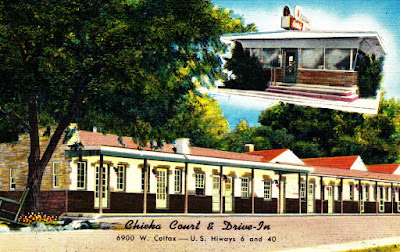 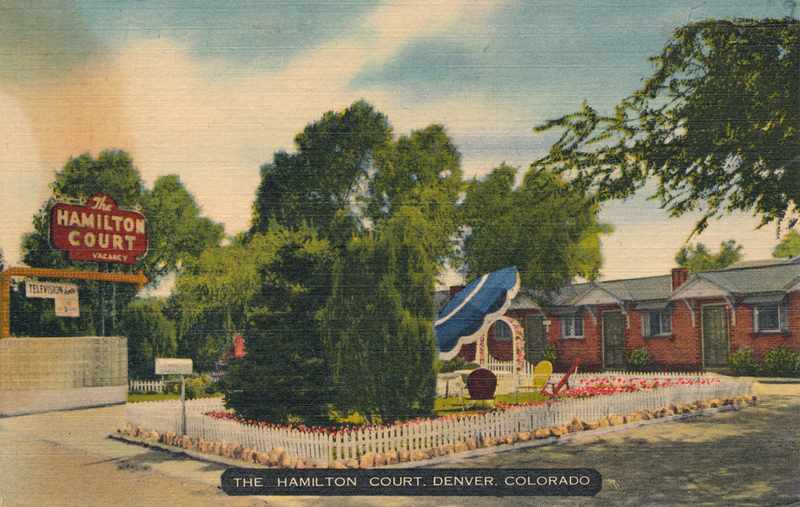 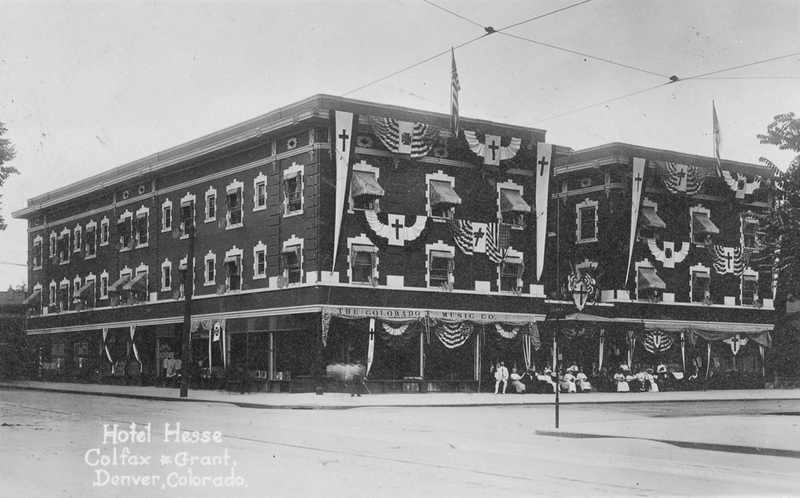 As part of U.S. Highway 40, Colfax Avenue was initially the main highway through the Denver metro area on the way to the Rocky Mountains. 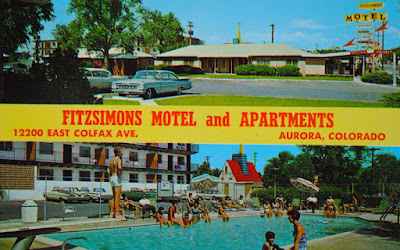 After traveling 500 miles of prairie, weary travelers were greeted by a veritable oasis on the eastern plains of Aurora, Colorado. 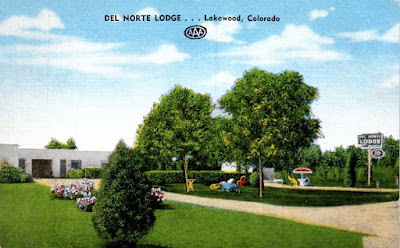 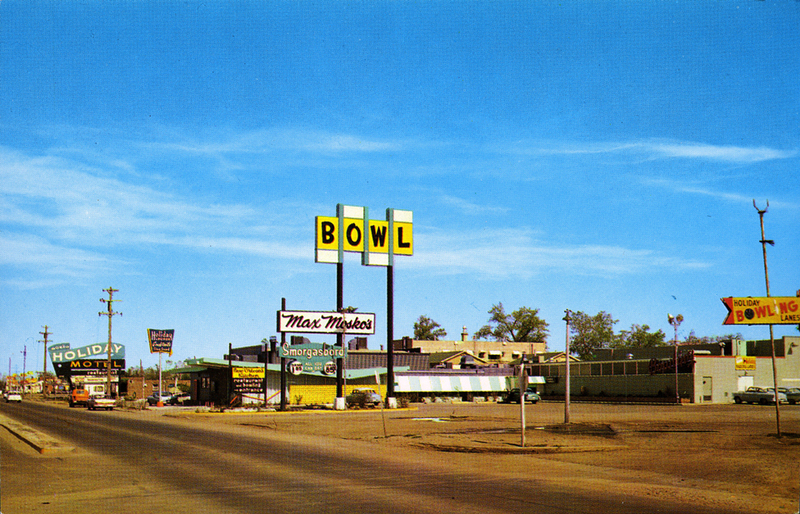 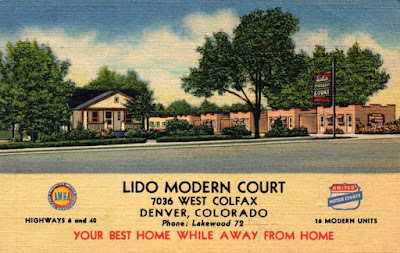 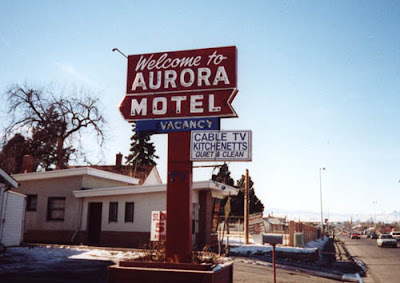 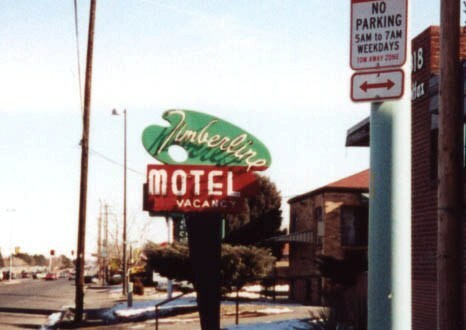 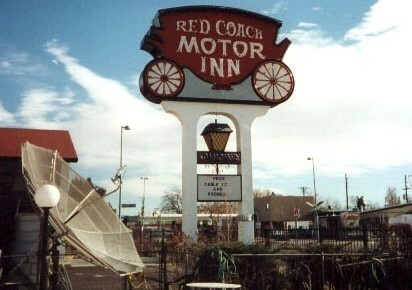 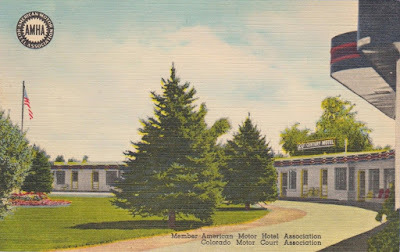 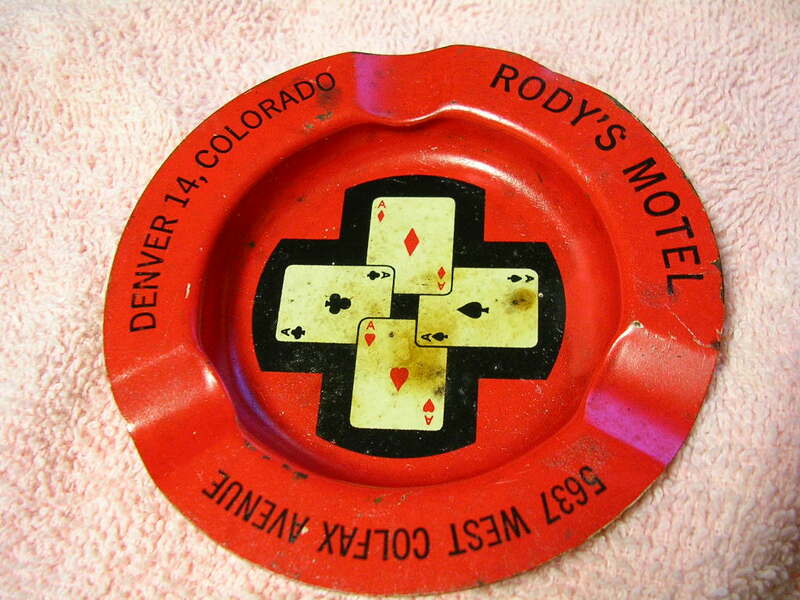 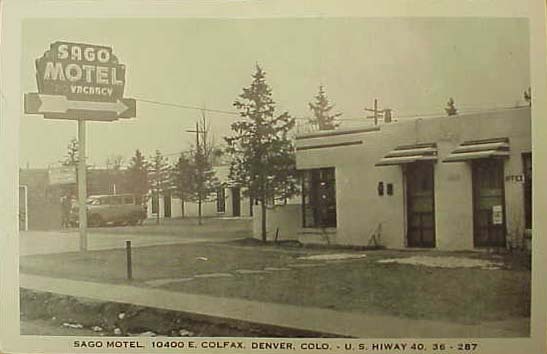 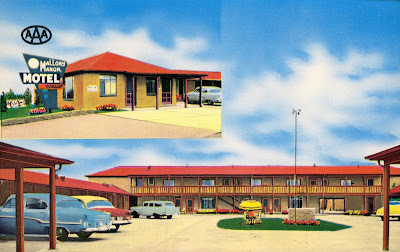 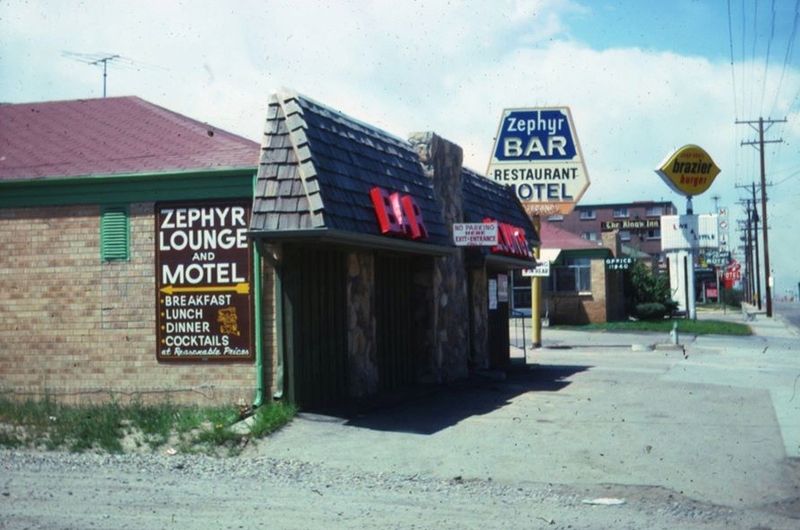 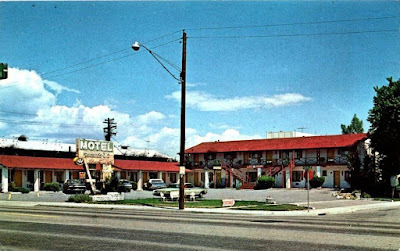 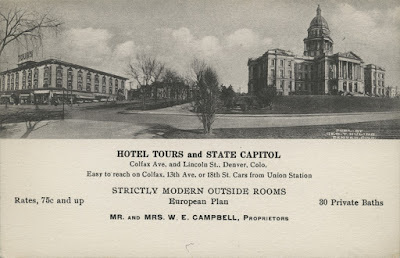 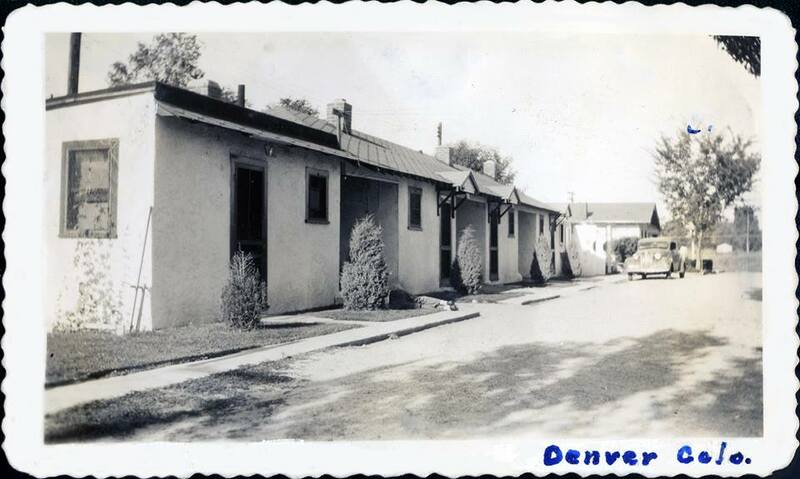 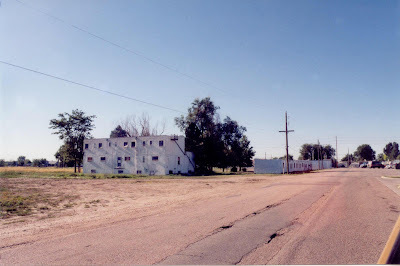 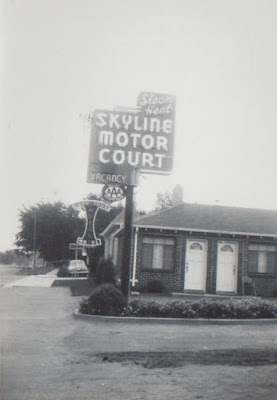 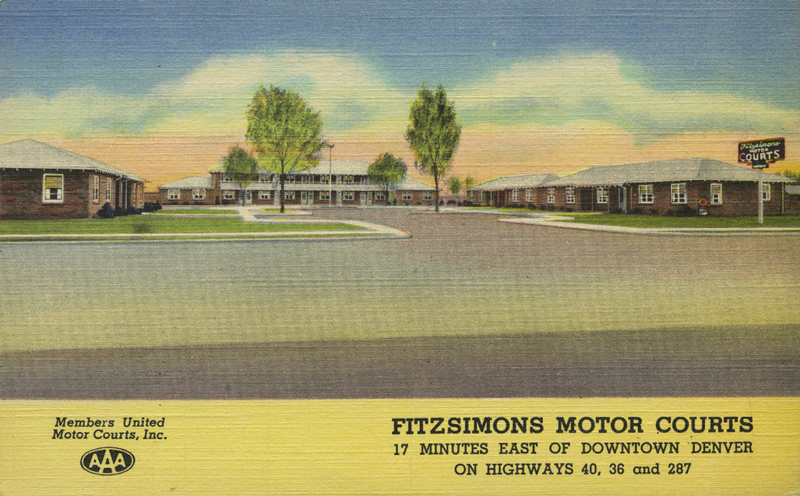 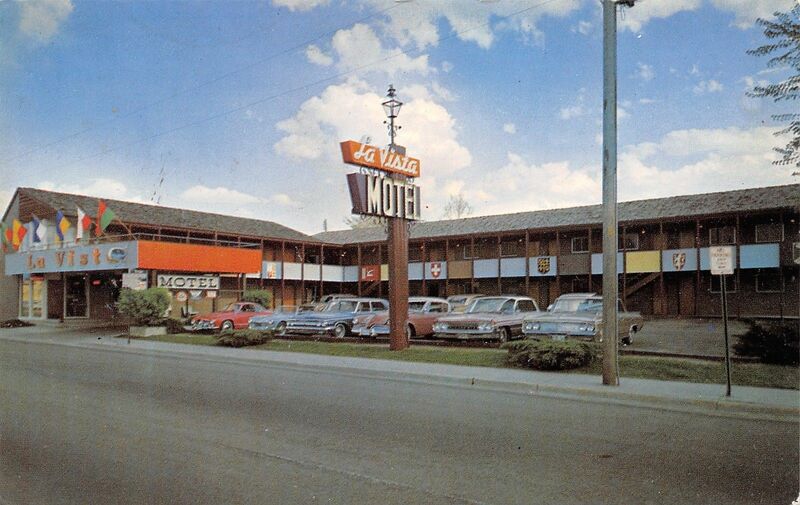 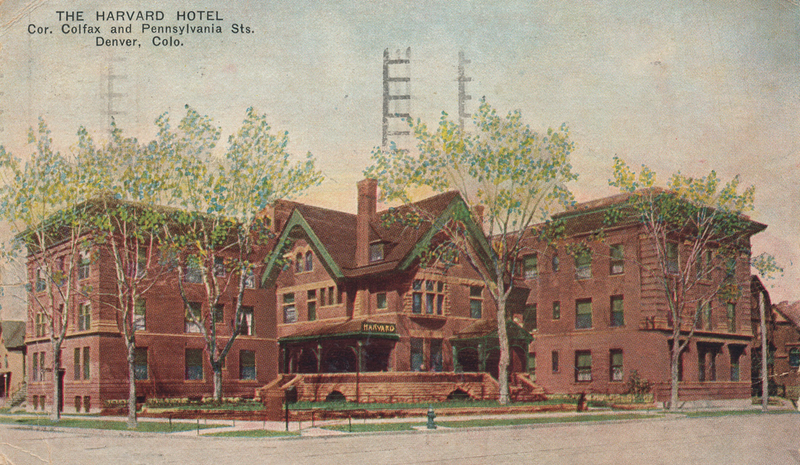 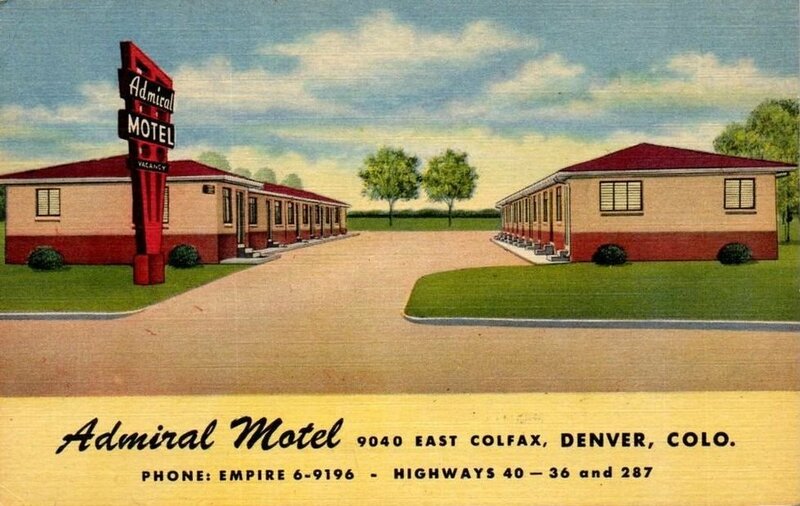 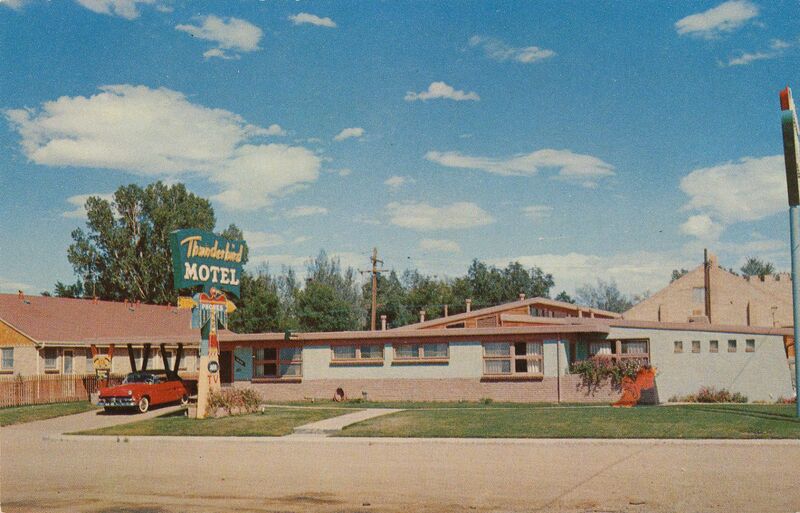 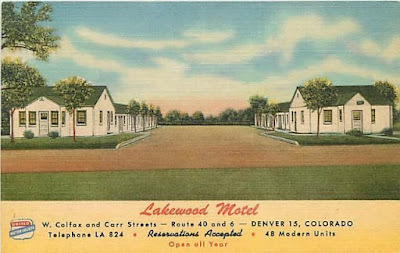 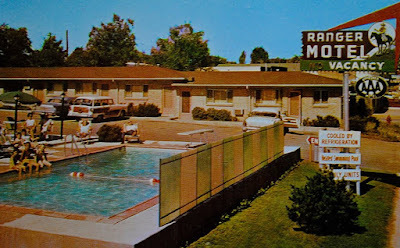 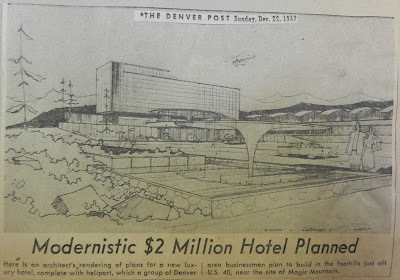 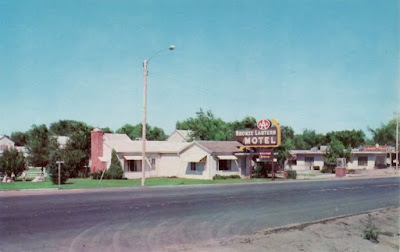 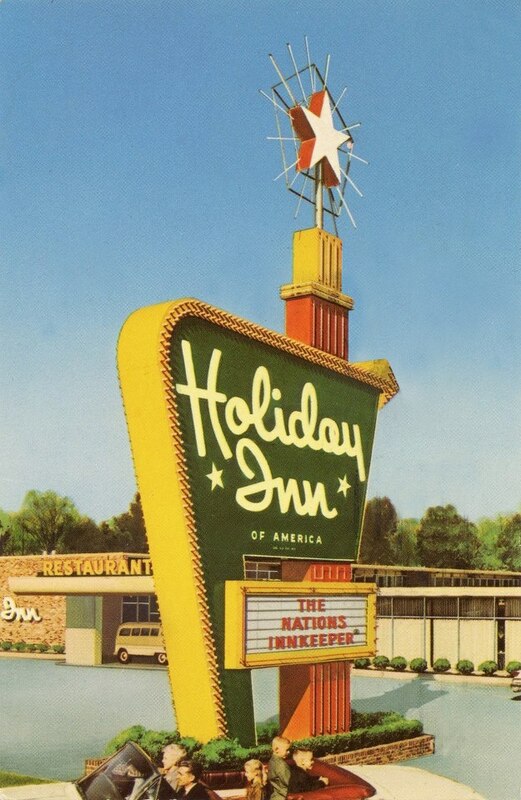 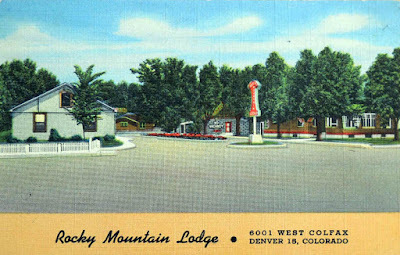 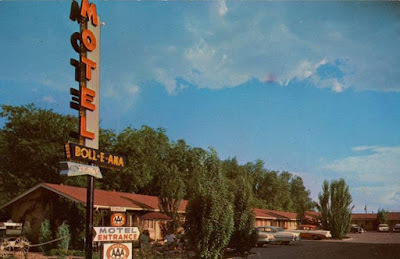 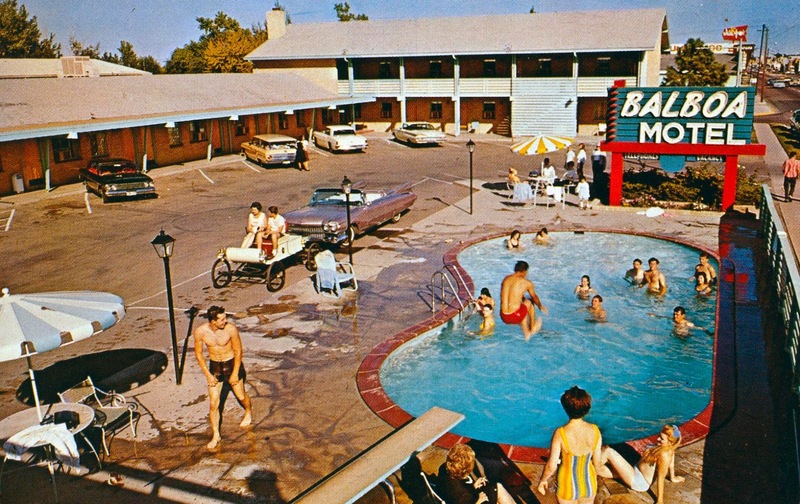 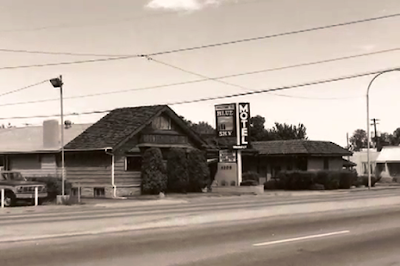 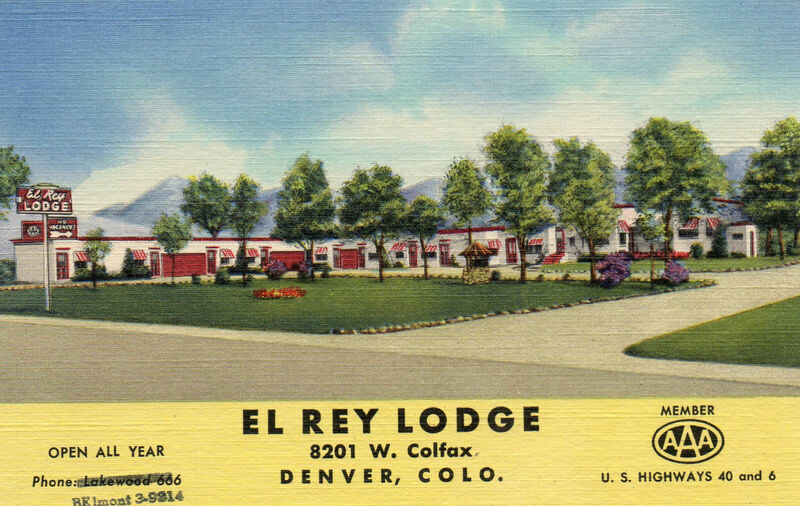 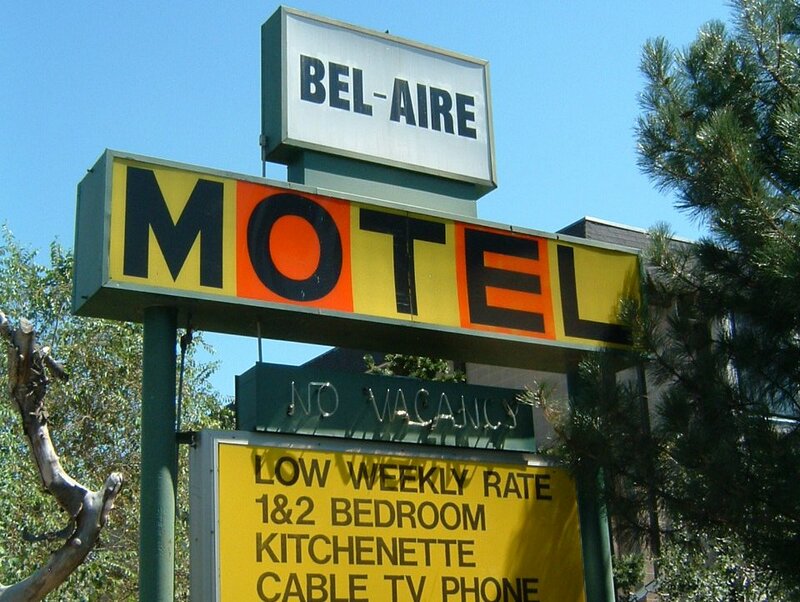 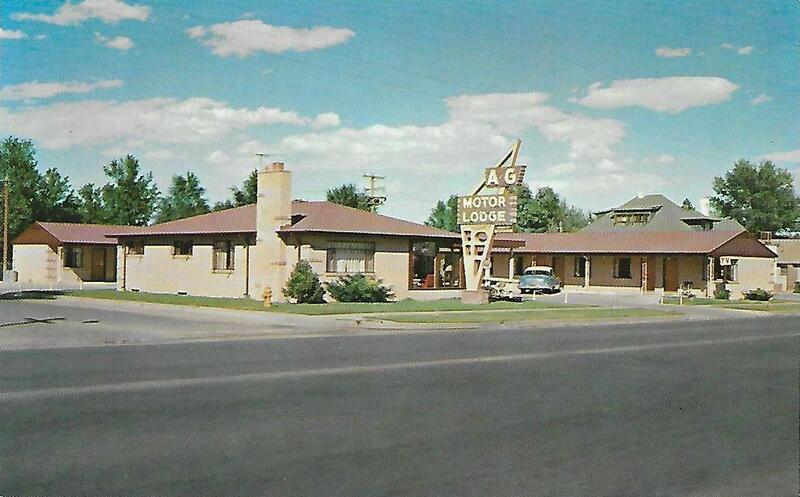 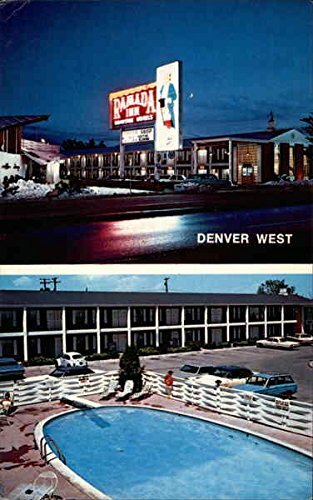 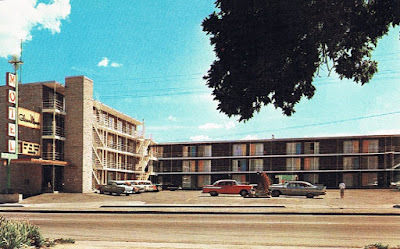 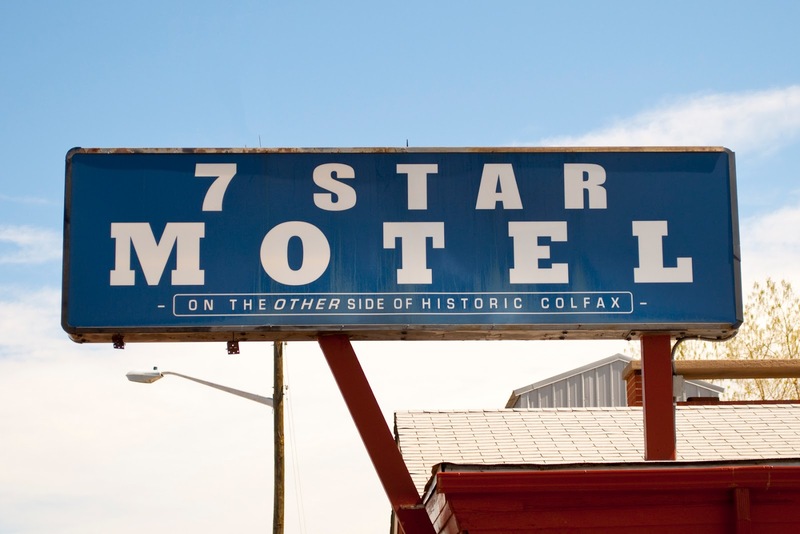 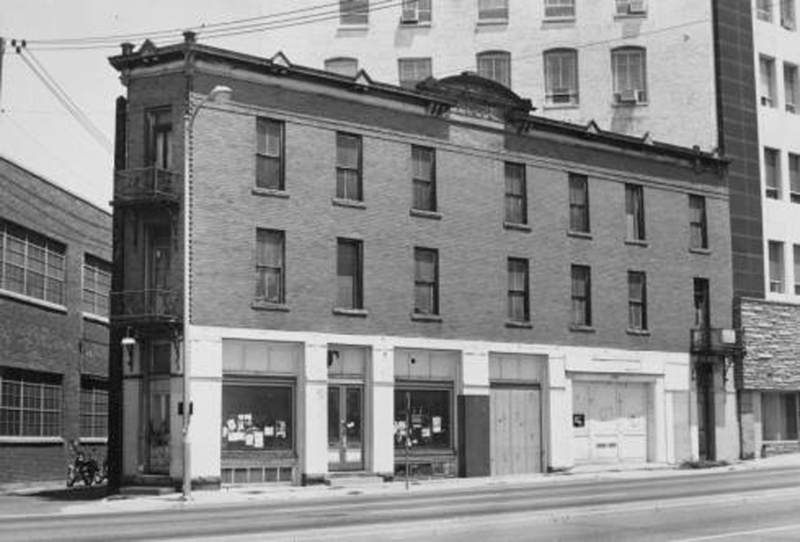 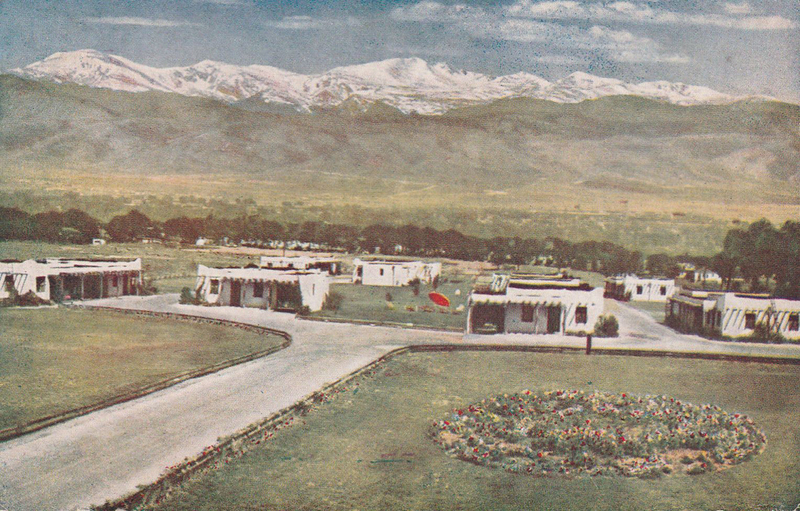 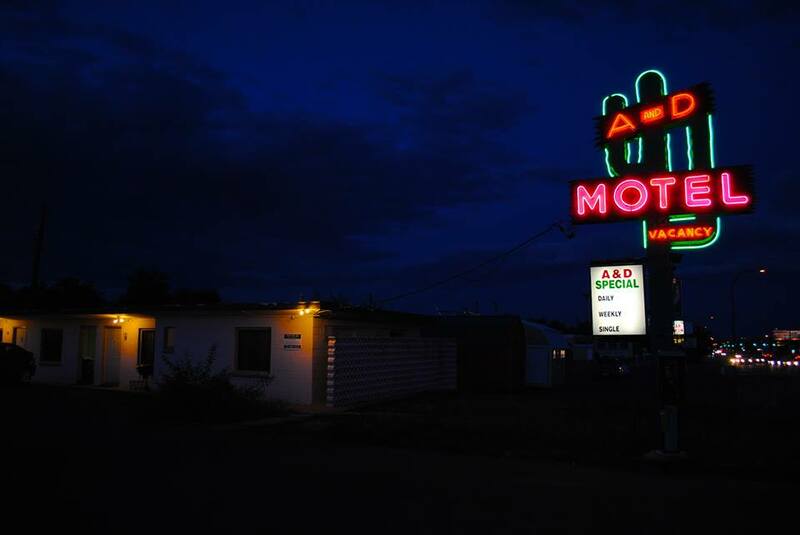 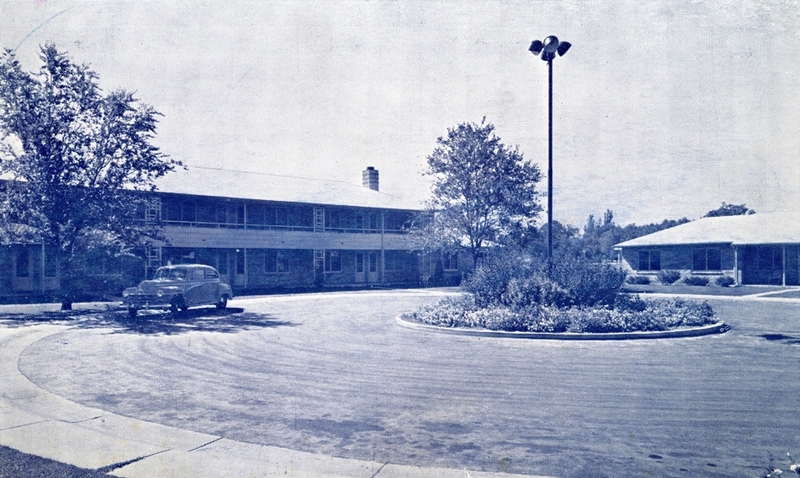 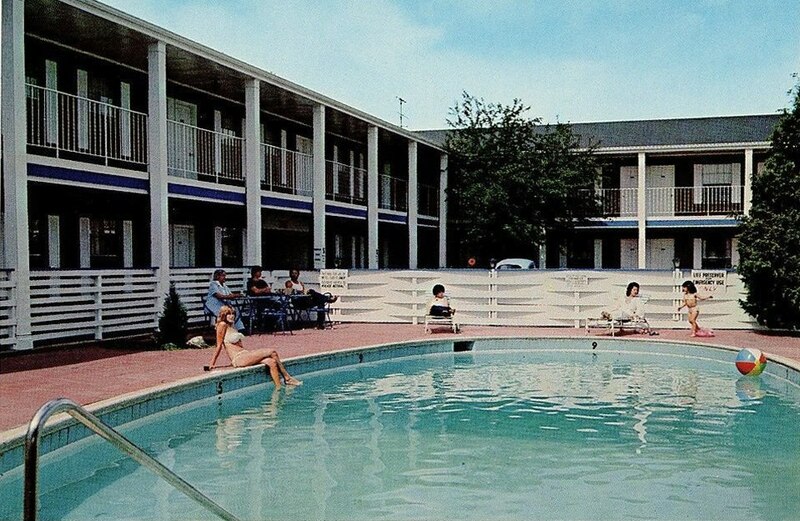 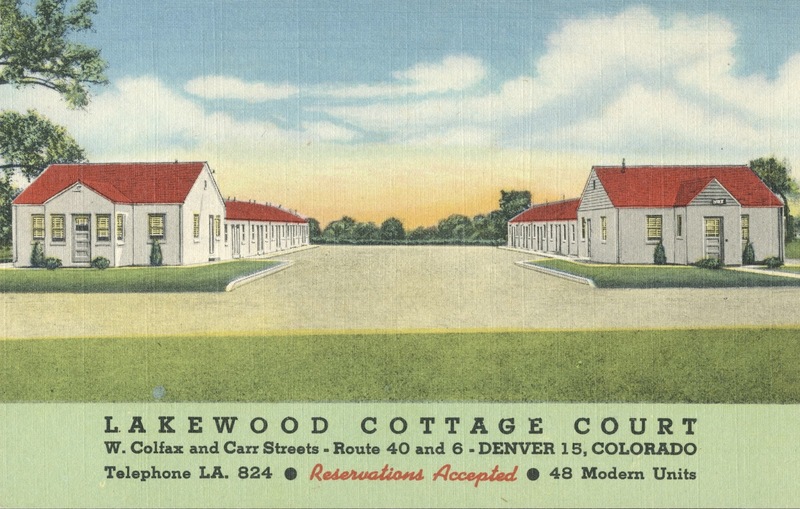 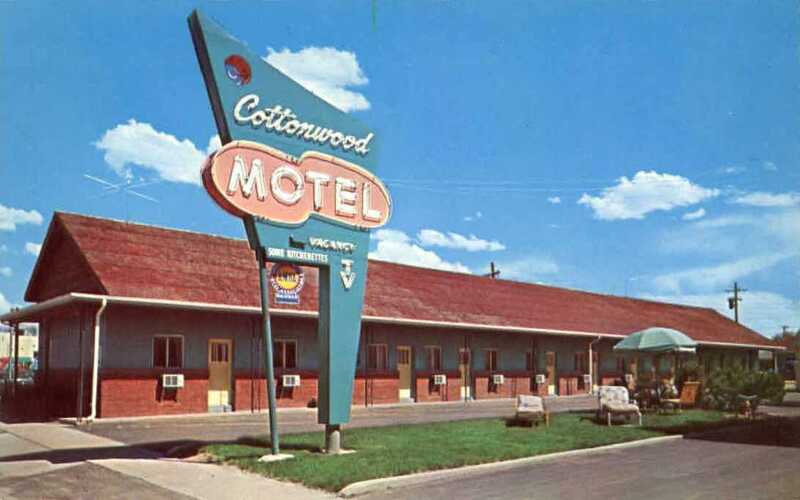 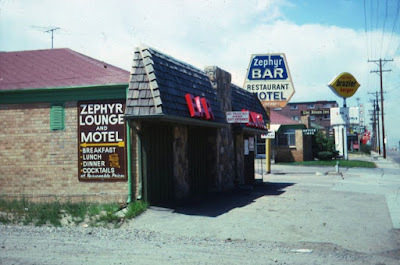 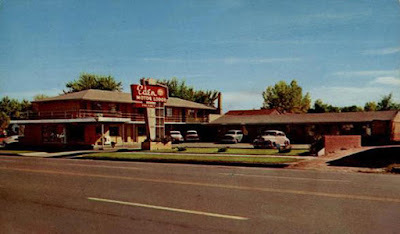 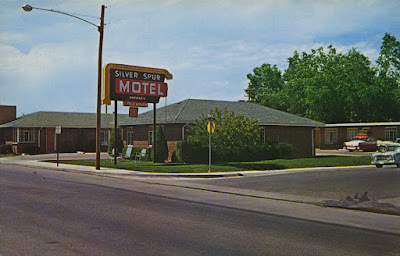 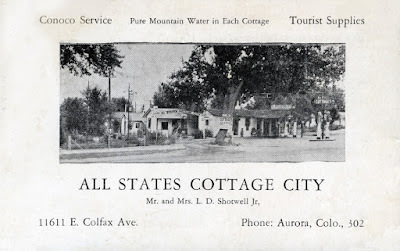 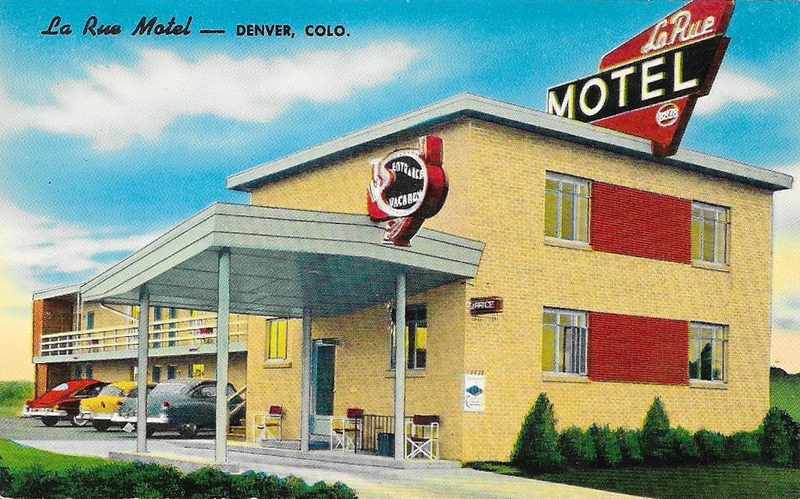 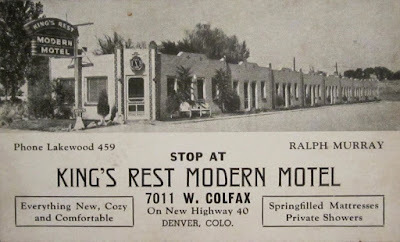 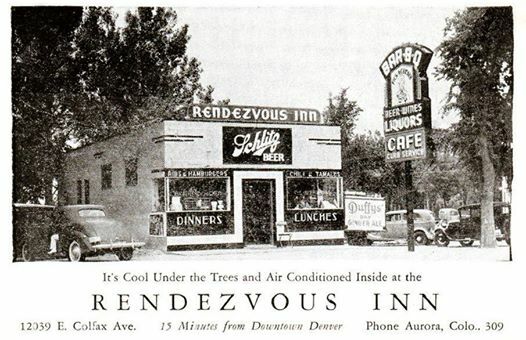 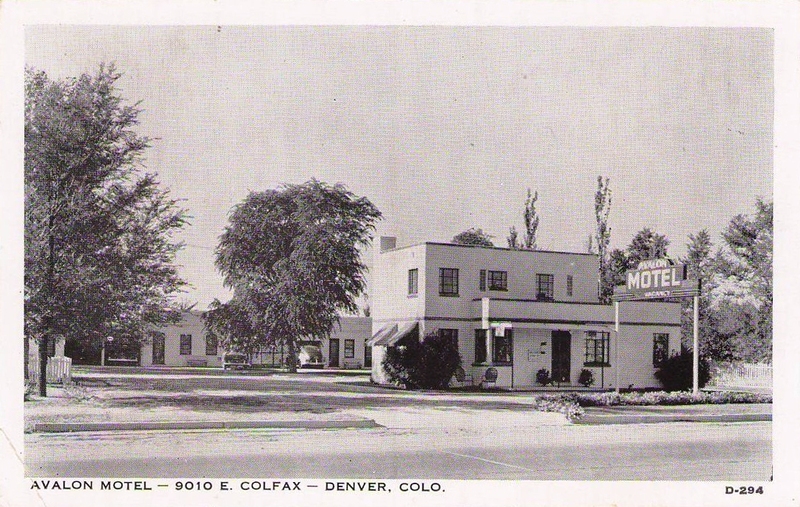 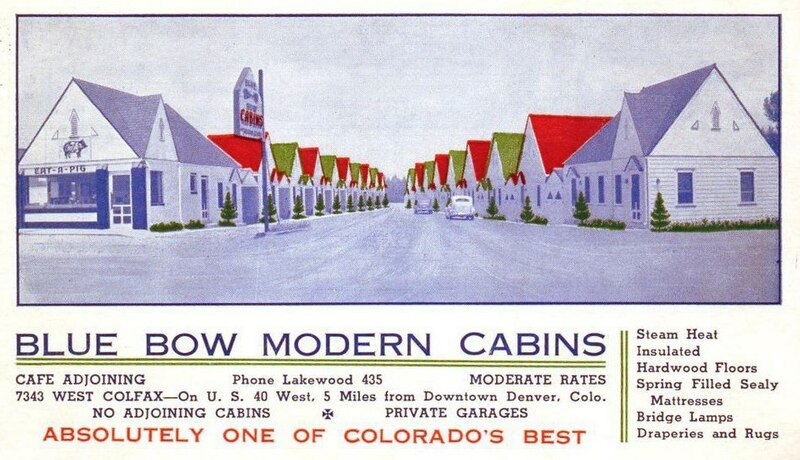 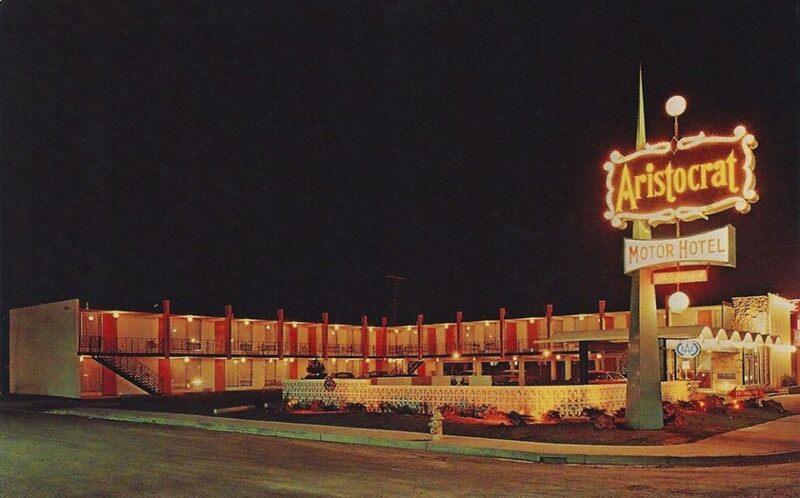 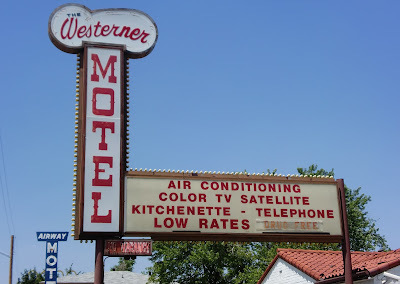 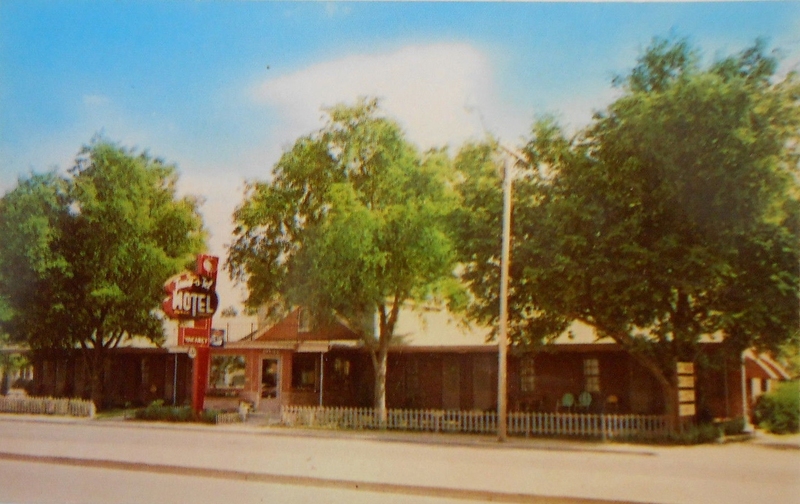 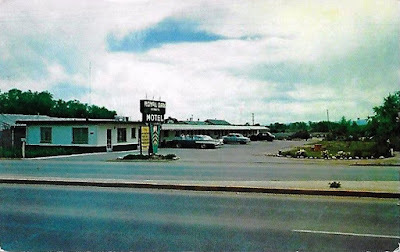 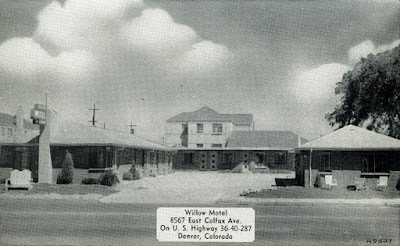 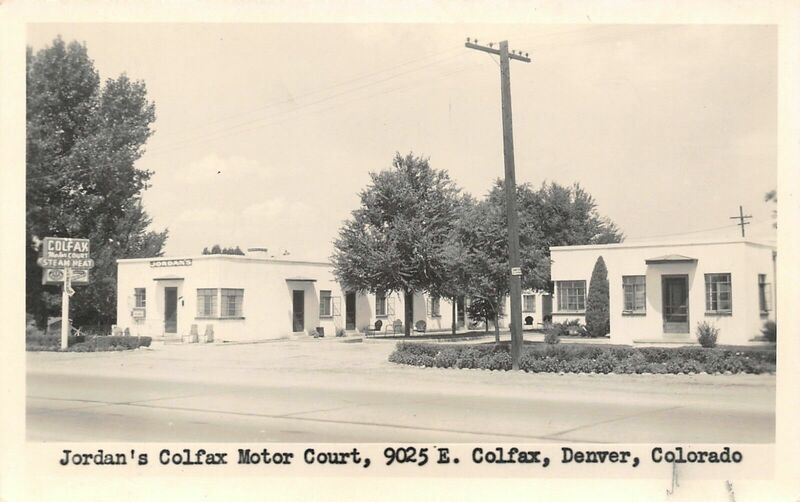 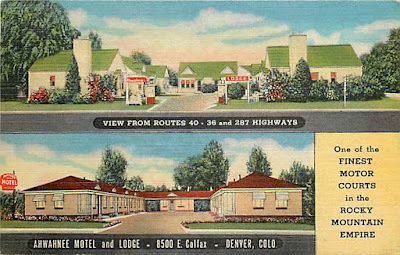 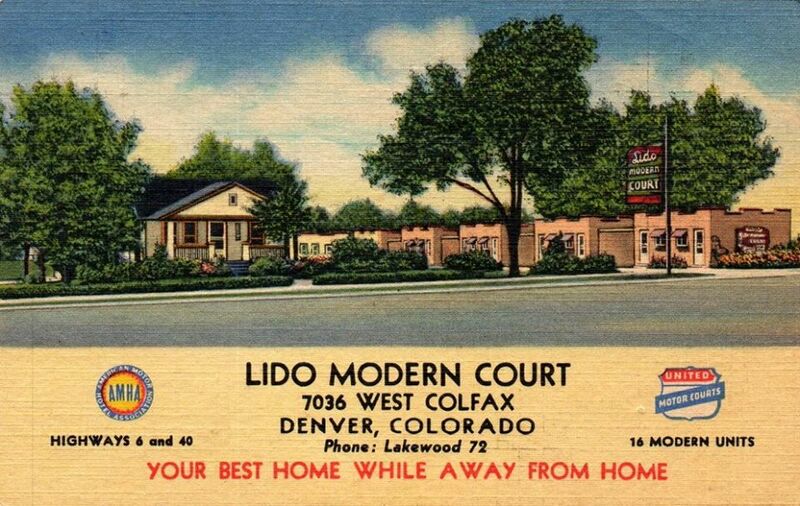 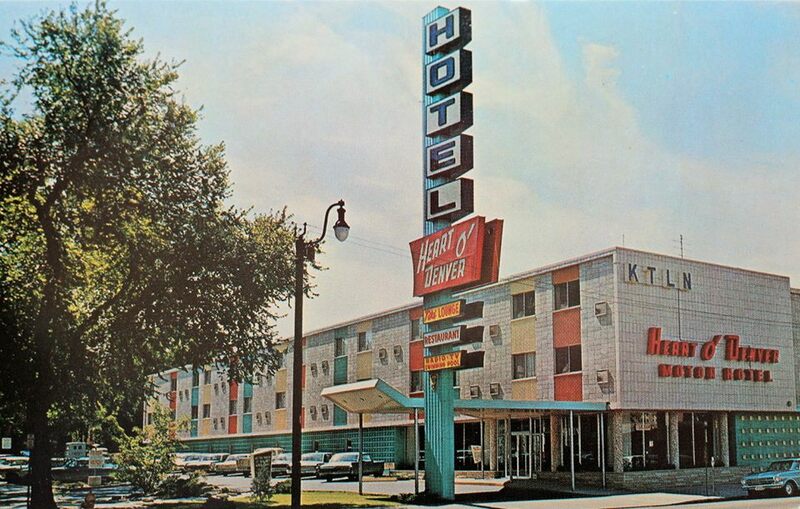 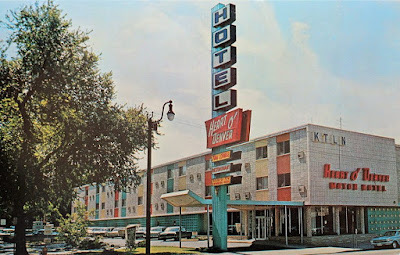 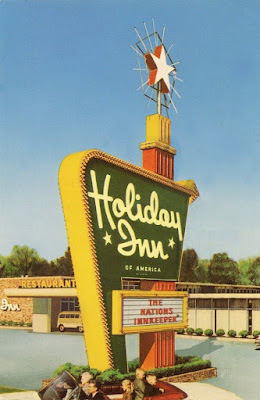 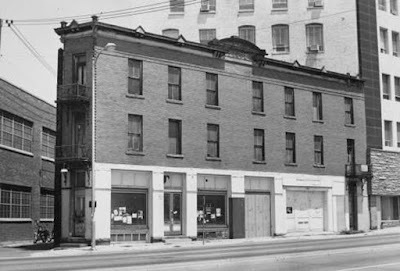 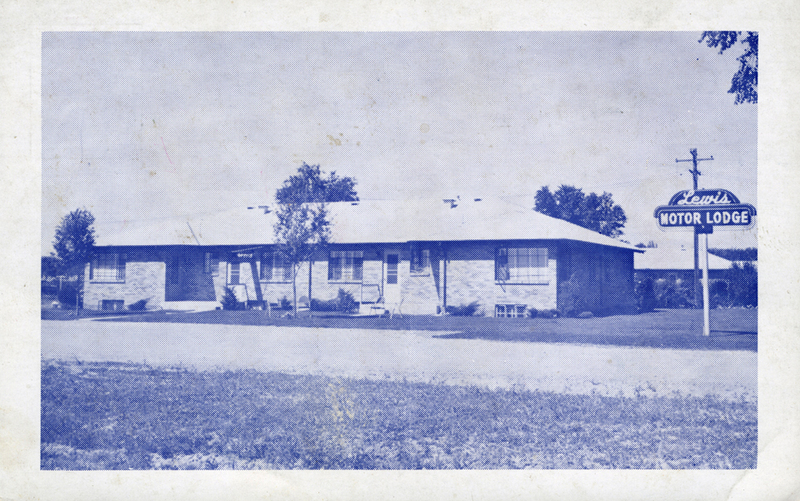 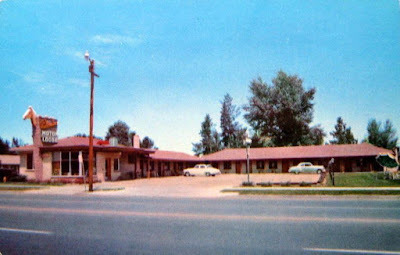 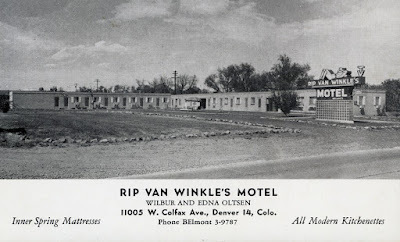 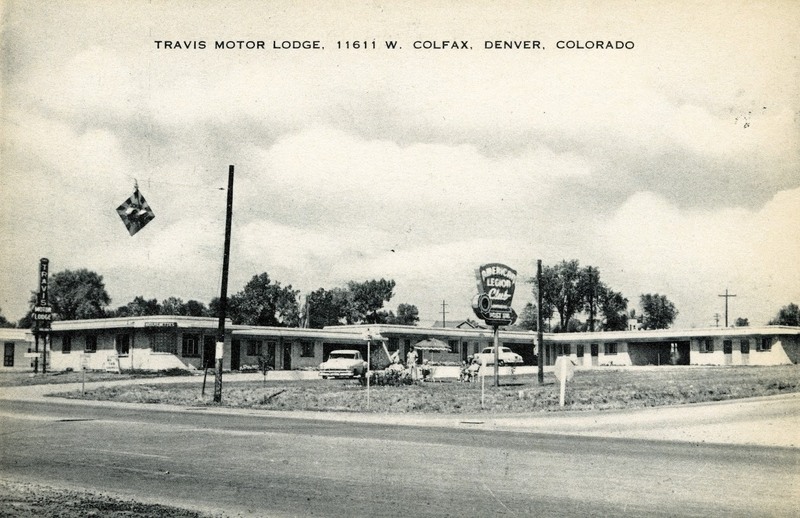 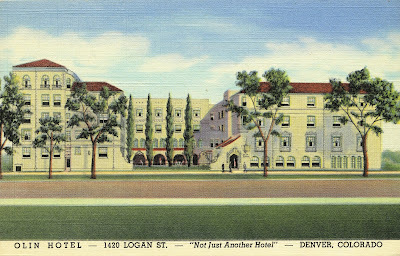 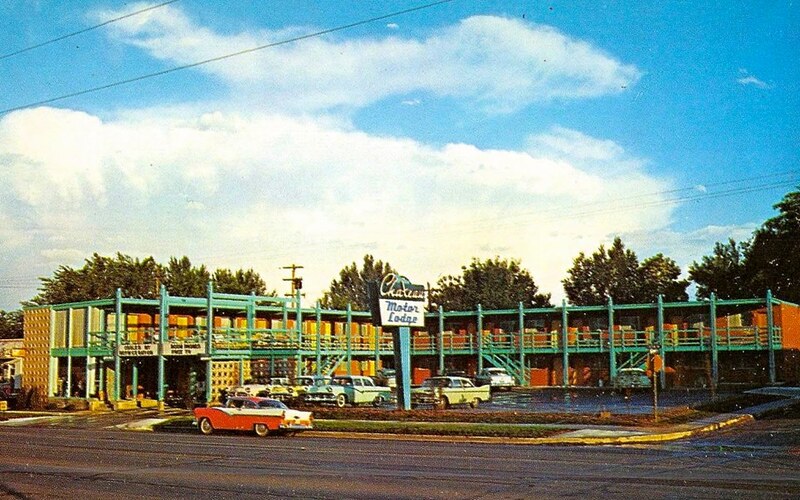 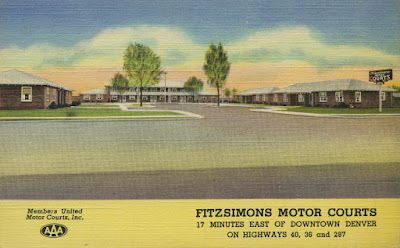 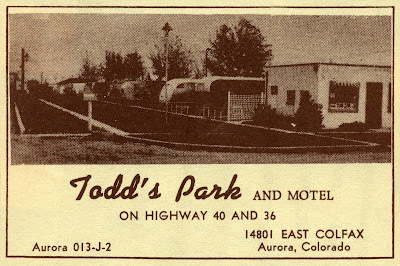 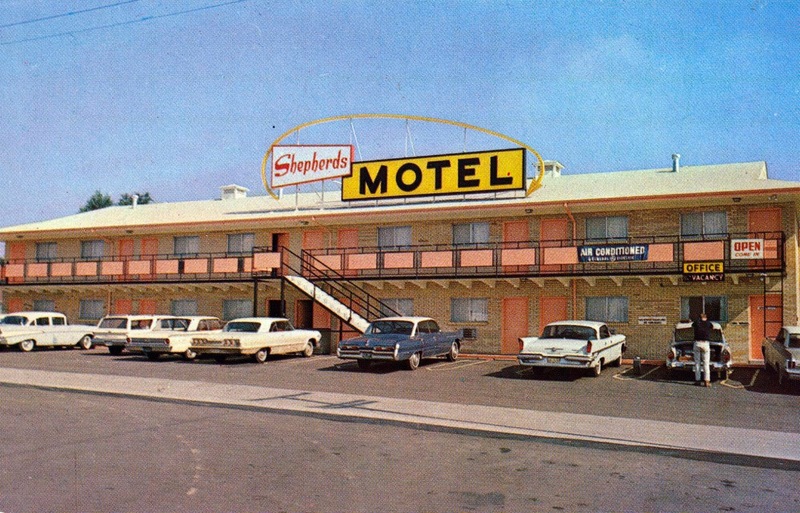 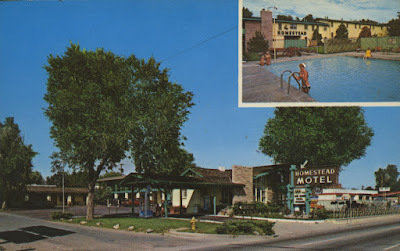 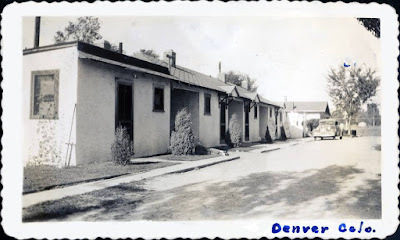 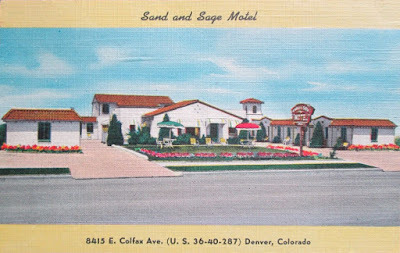 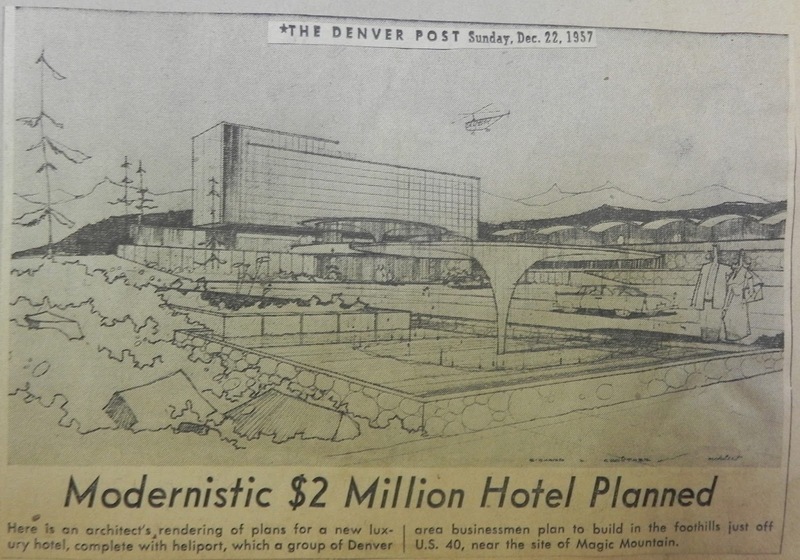 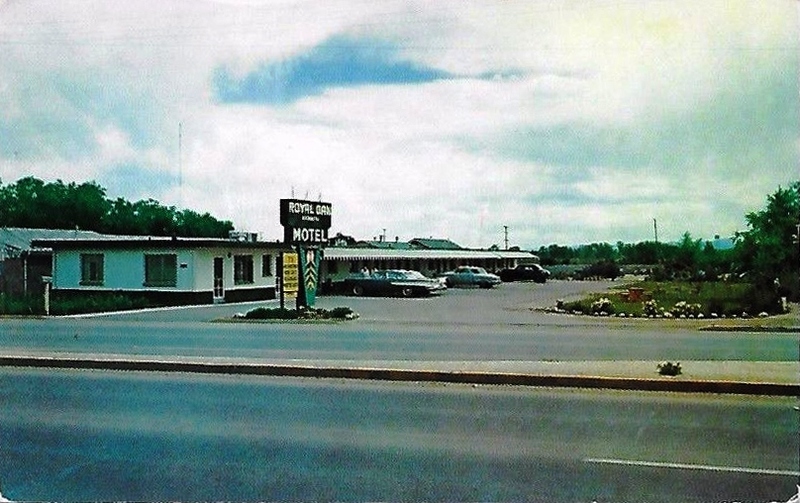 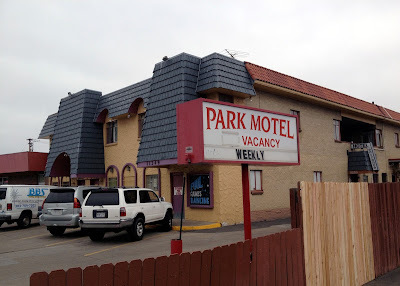 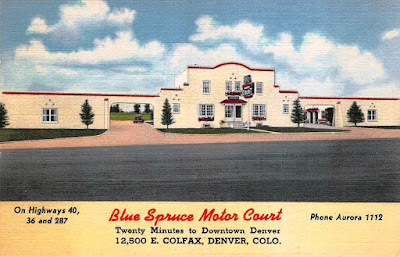 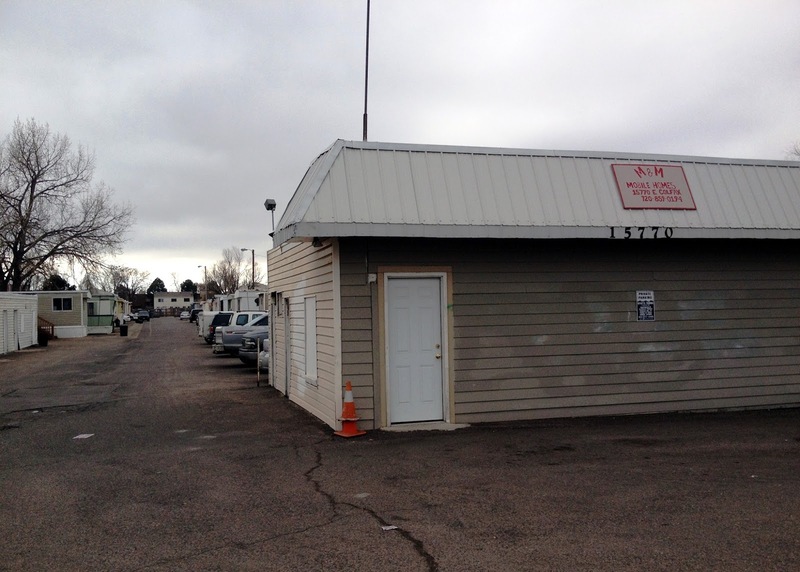 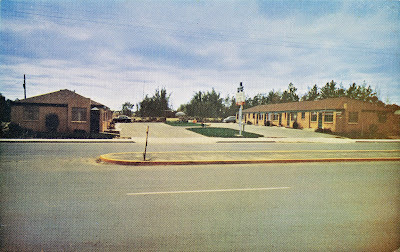 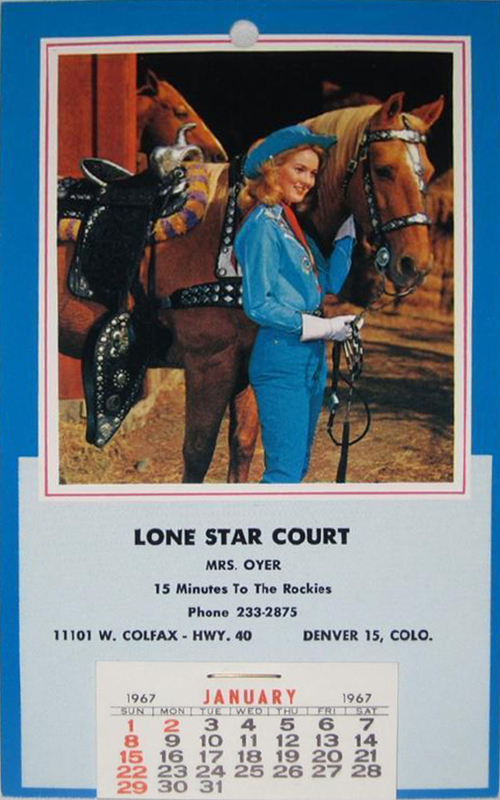 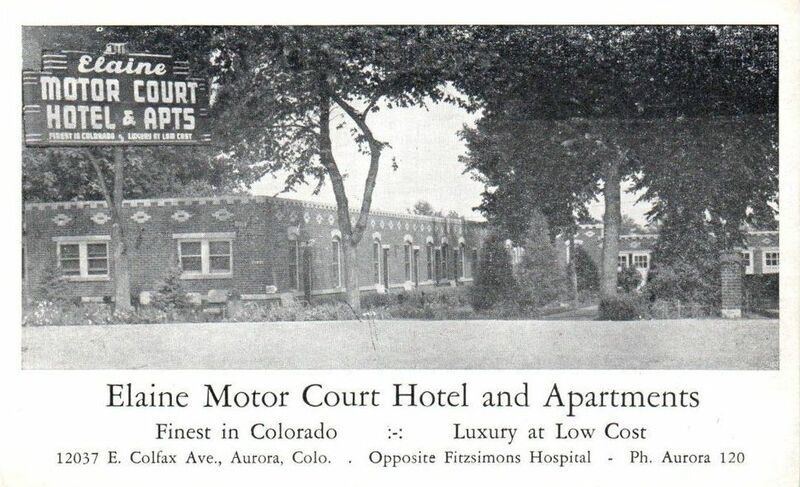 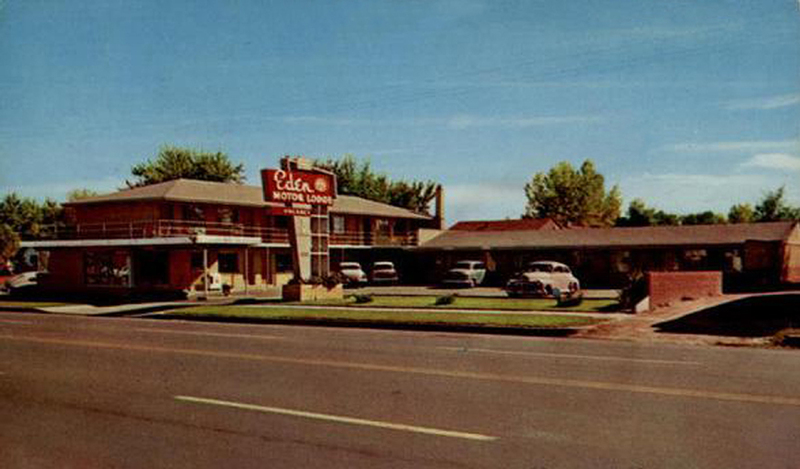 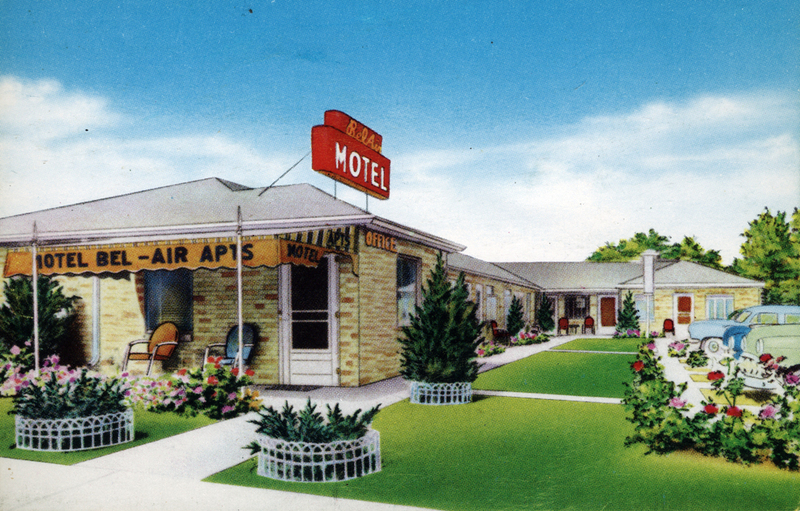 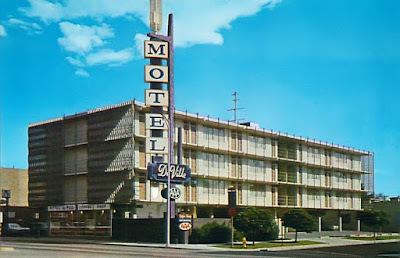 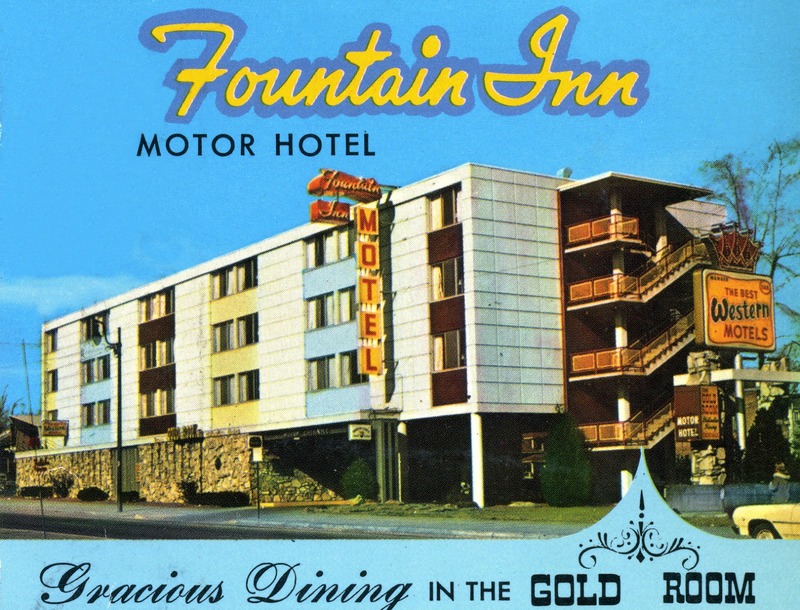 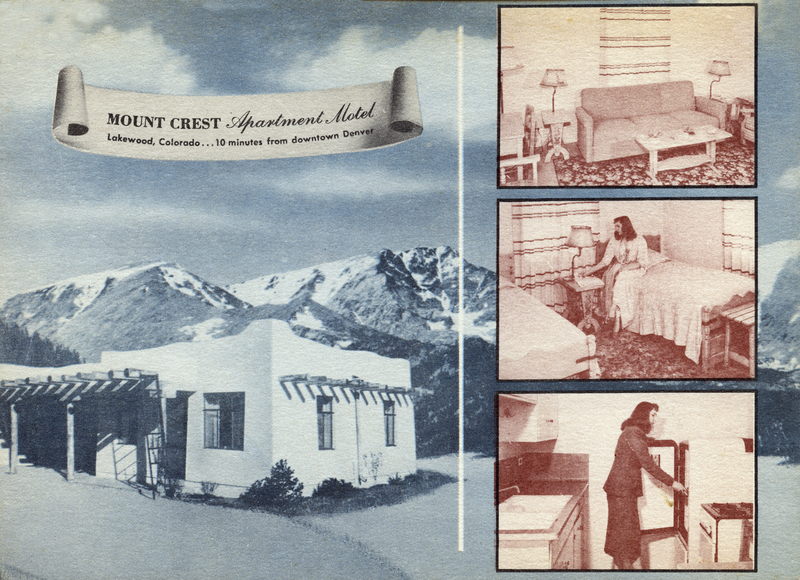 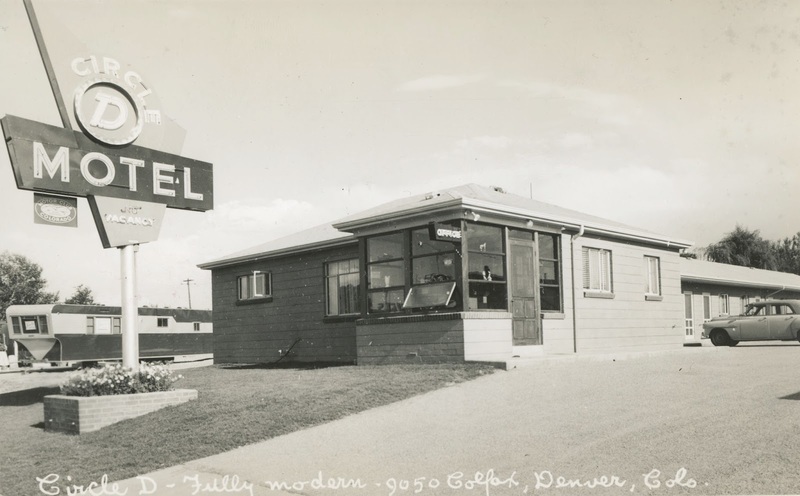 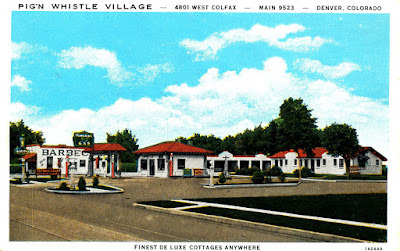 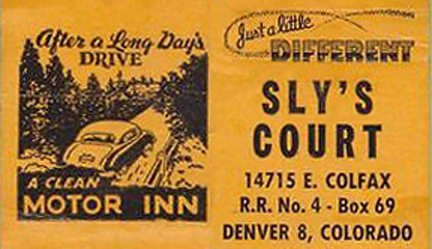 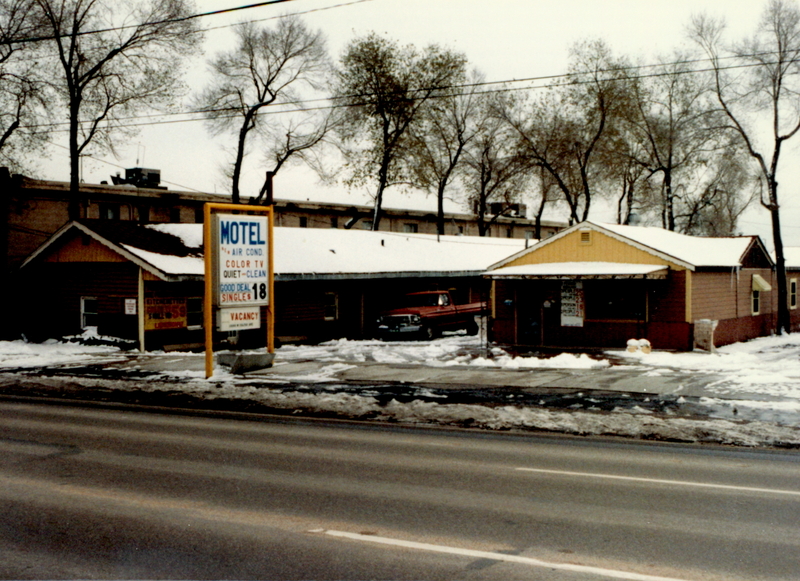 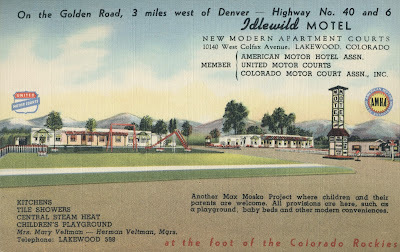 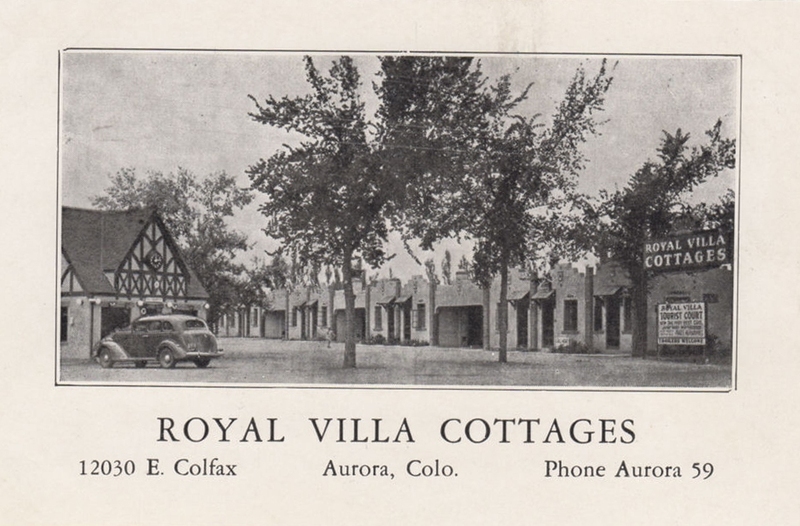 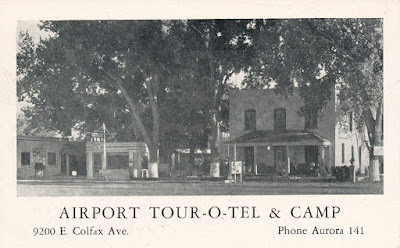 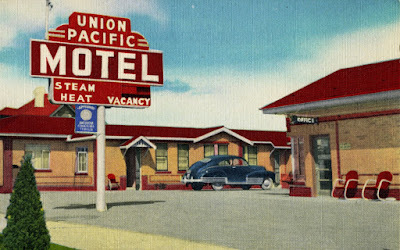 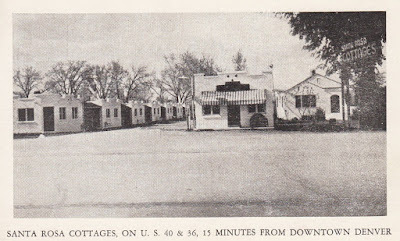 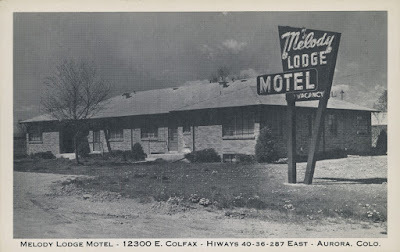 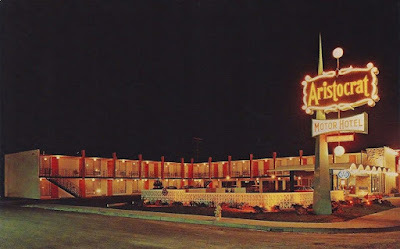 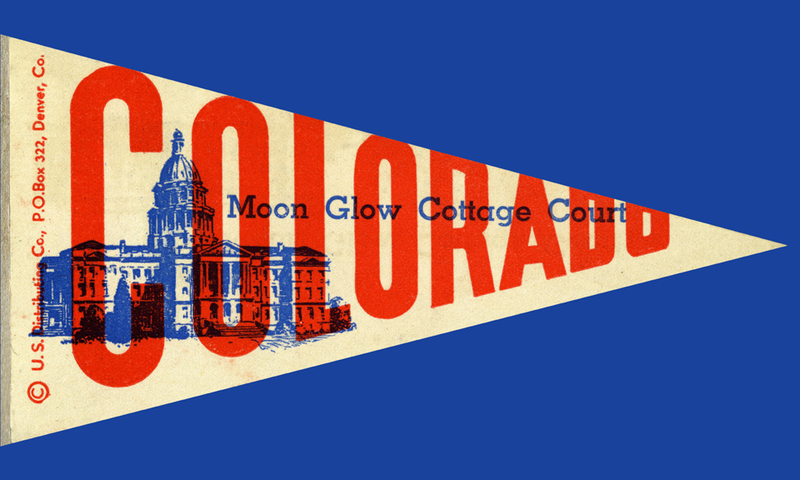 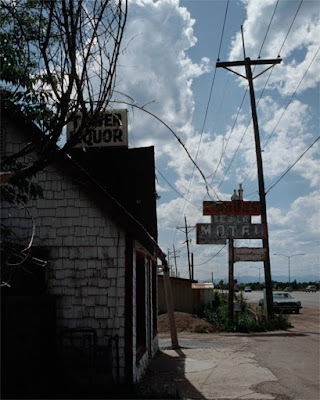 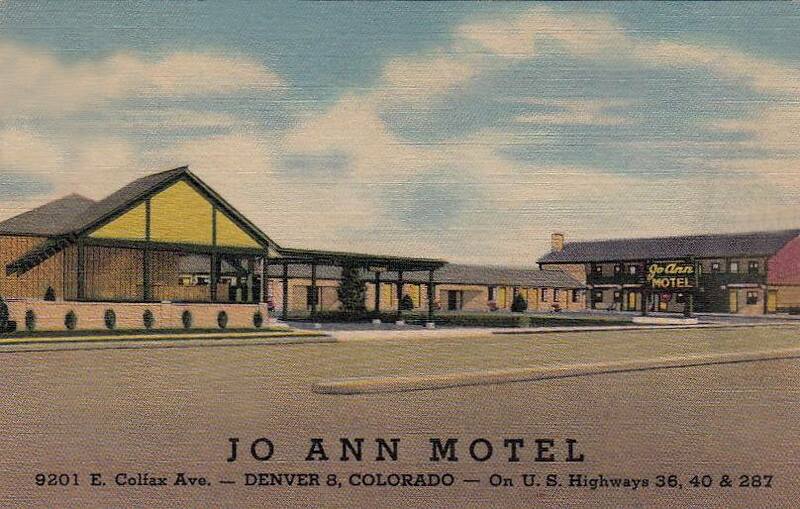 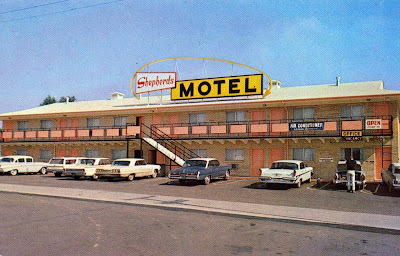 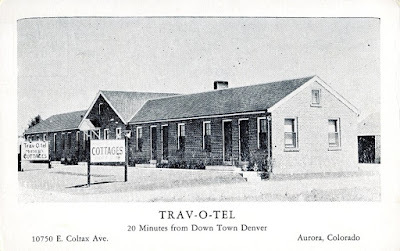 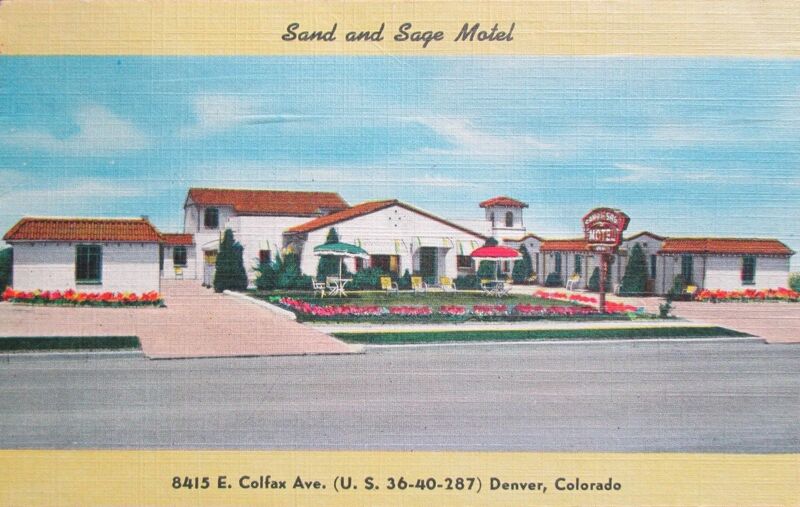 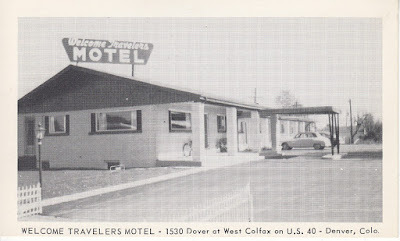 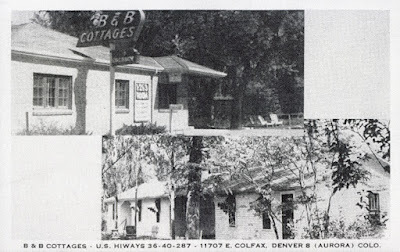 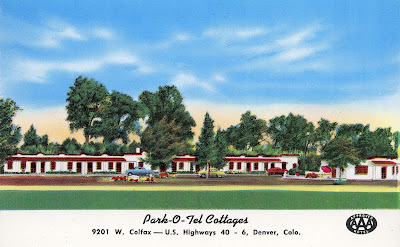 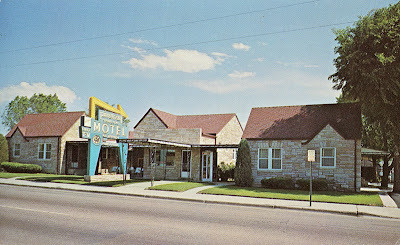 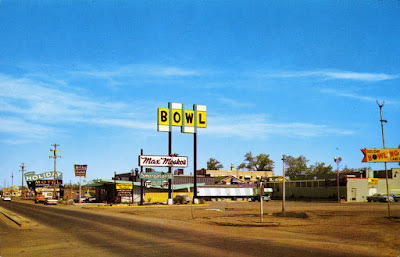 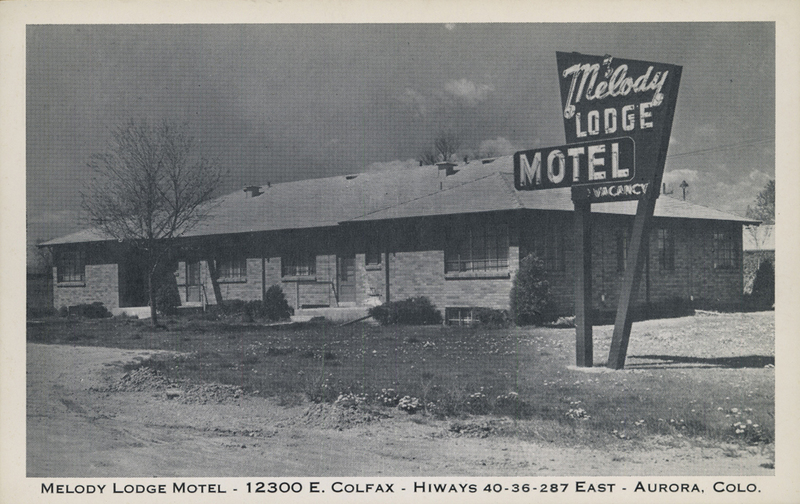 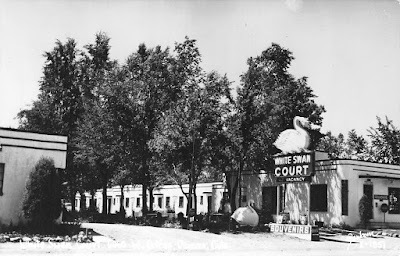 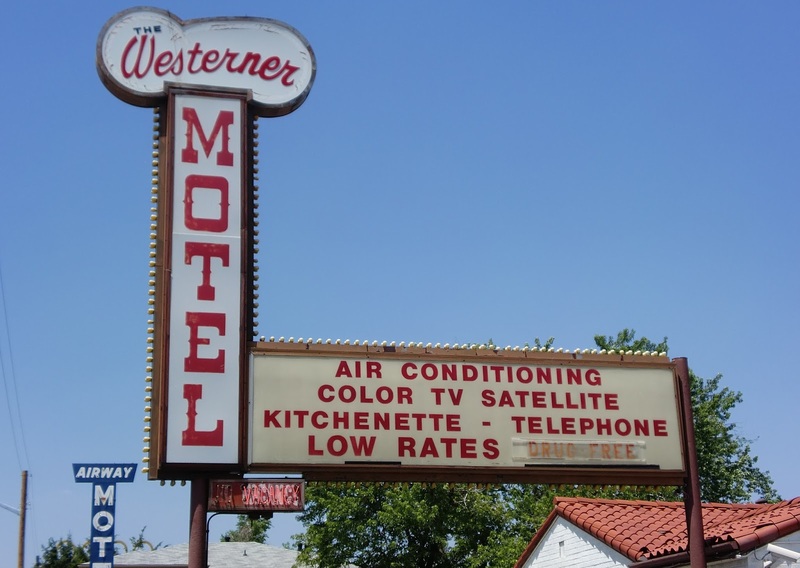 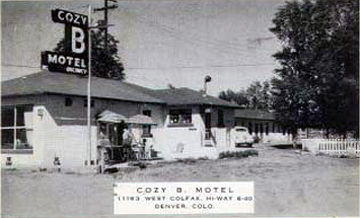 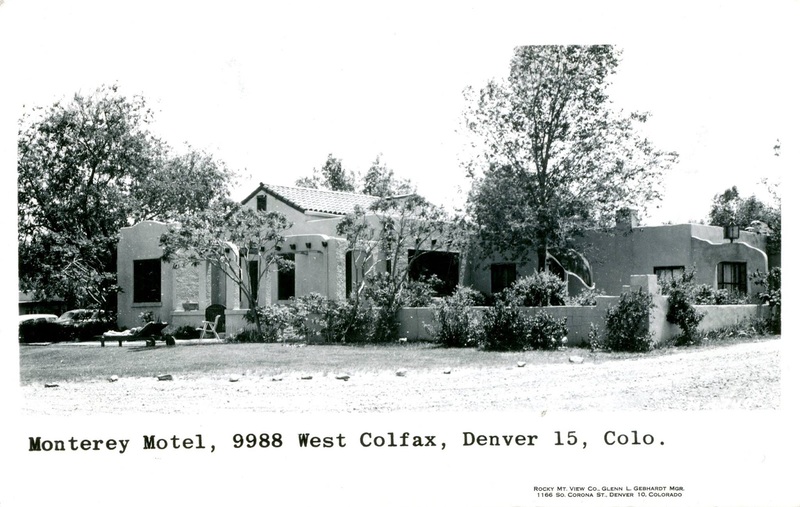 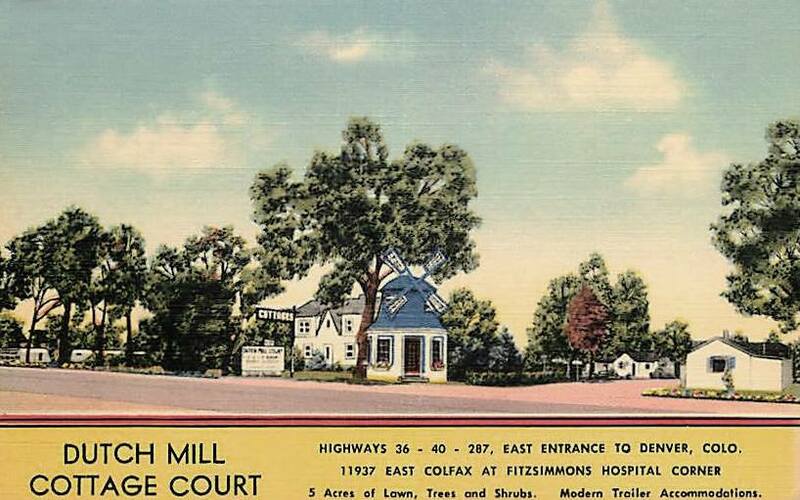 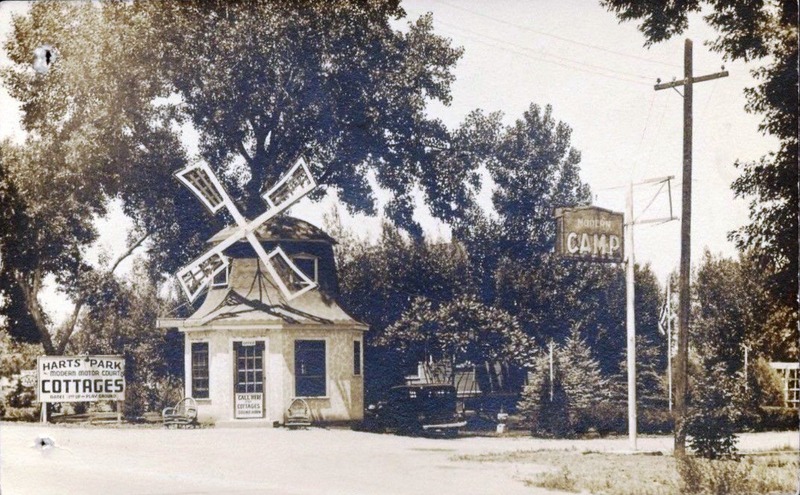 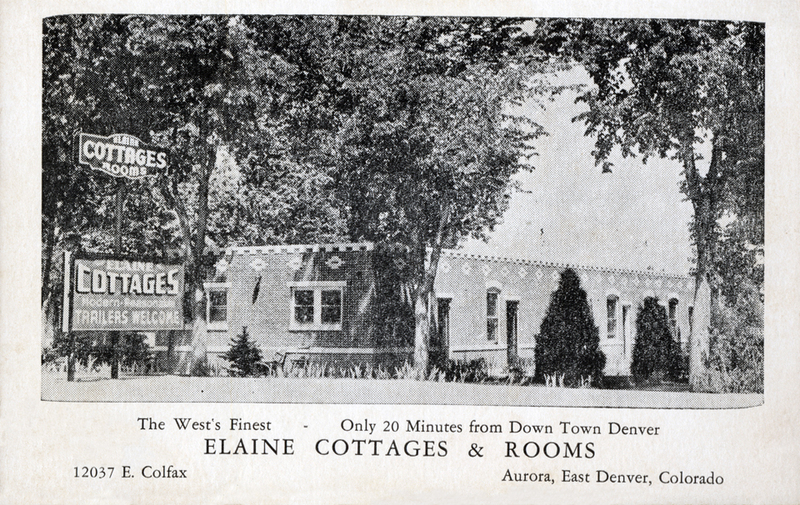 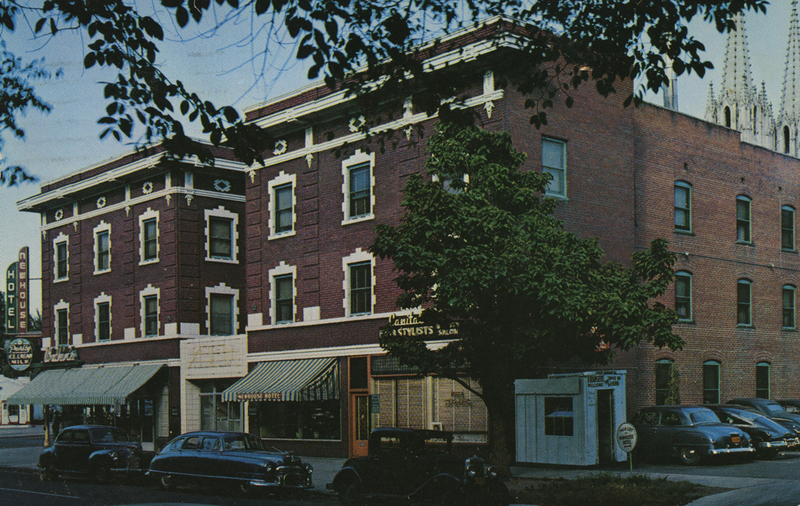 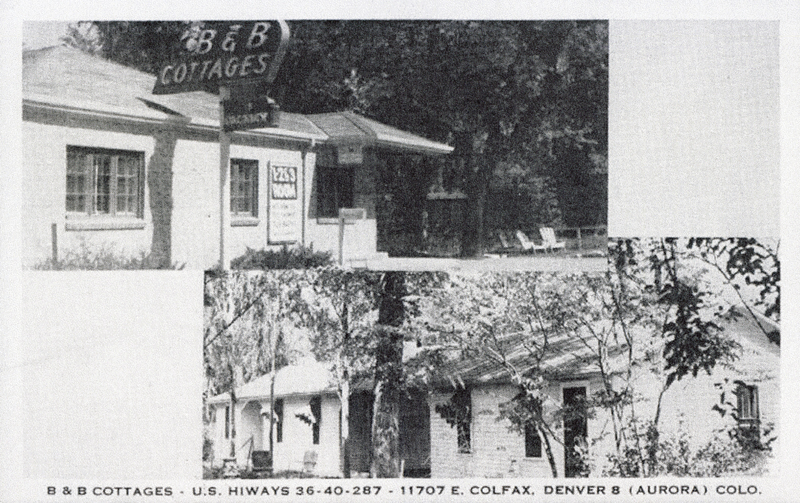 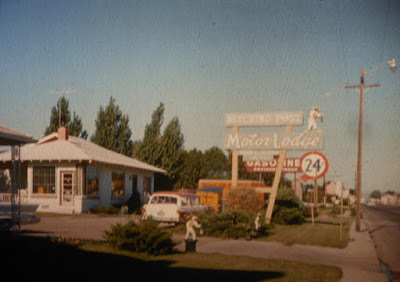 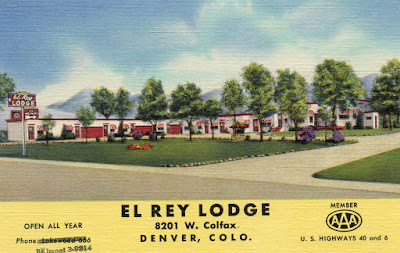 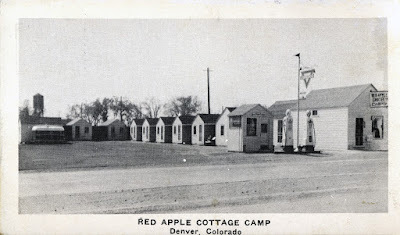 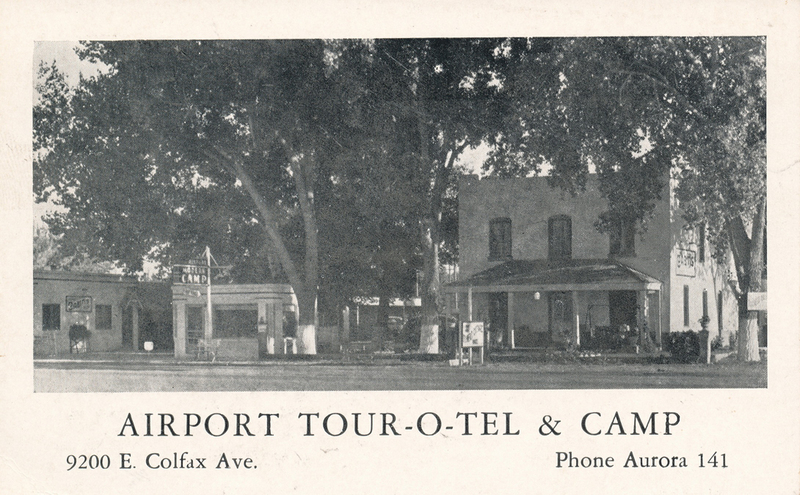 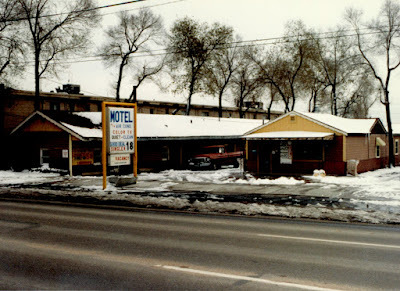 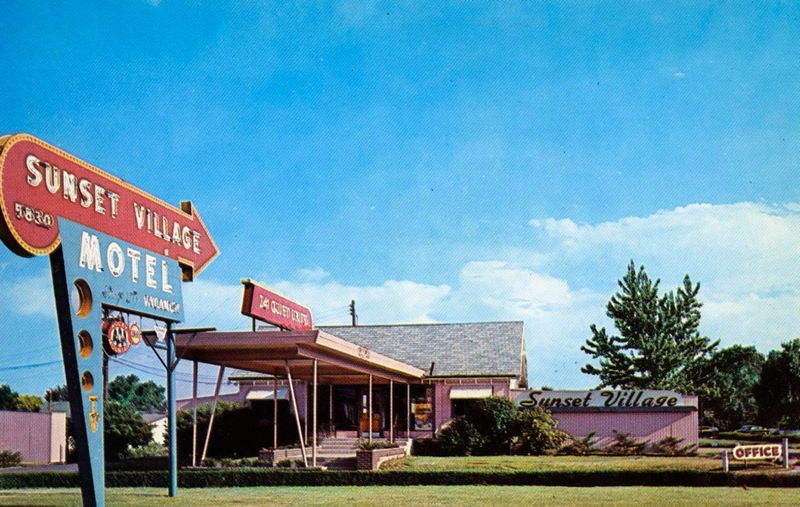 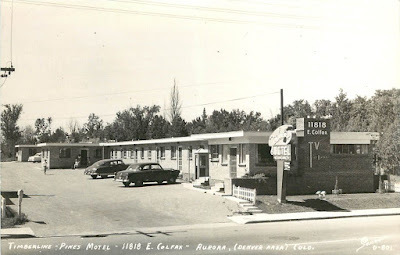 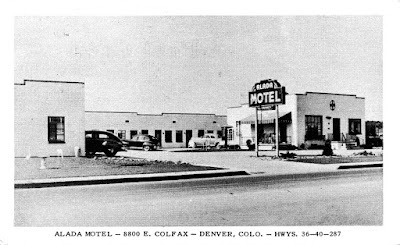 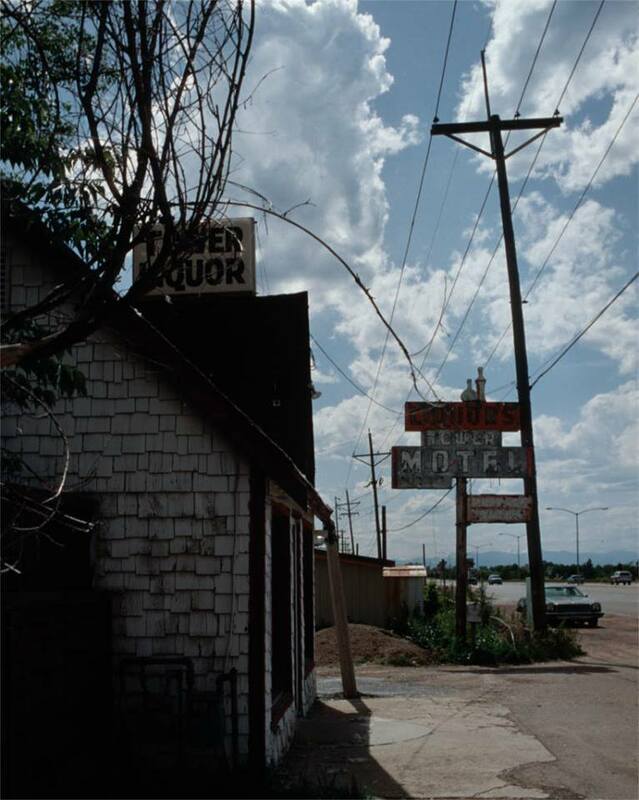 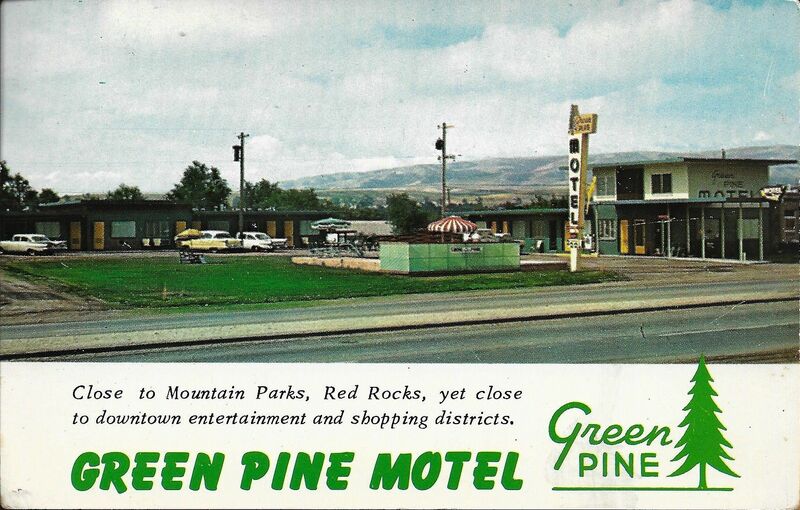 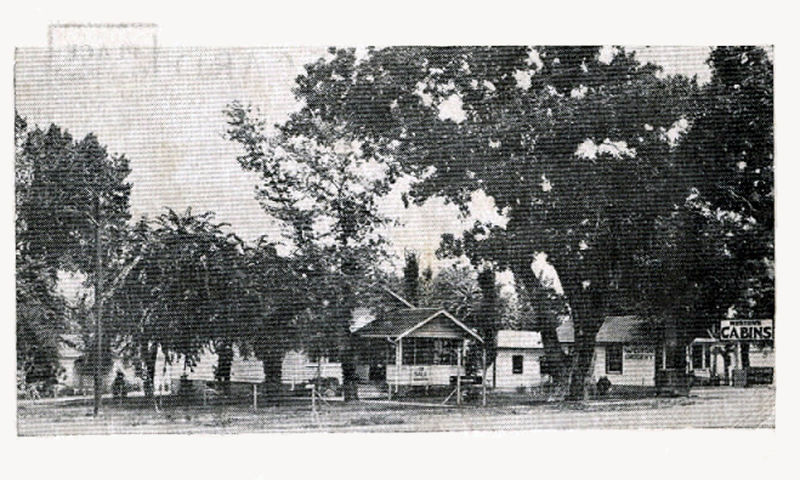 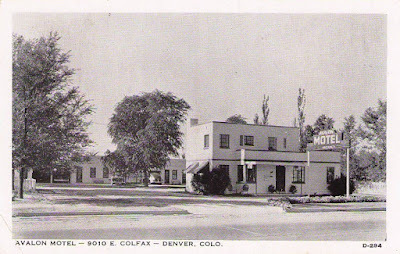 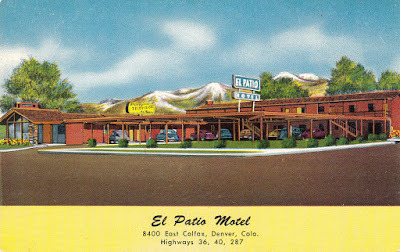 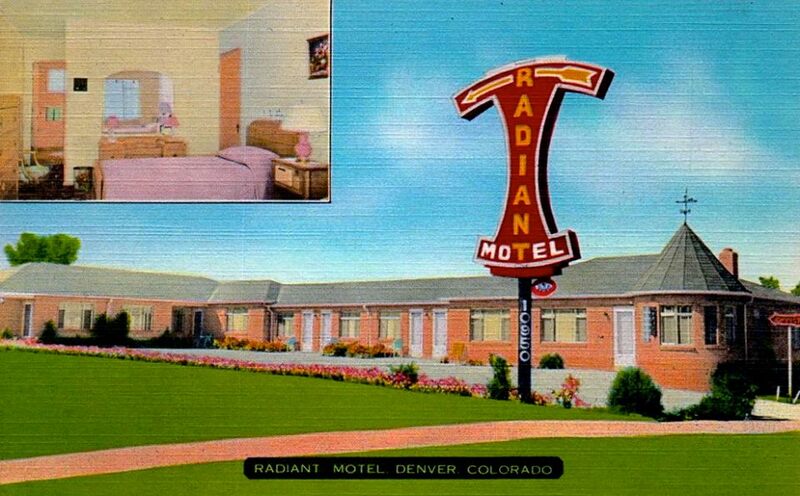 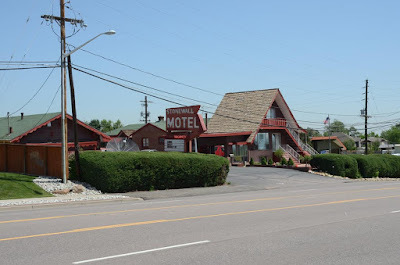 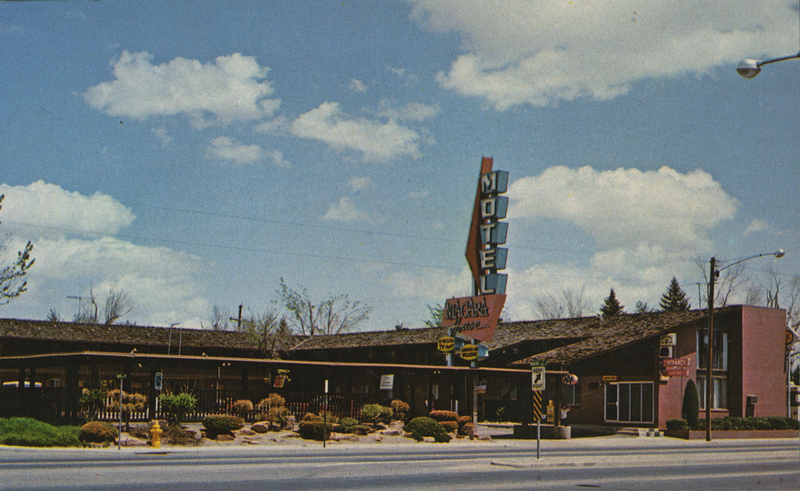 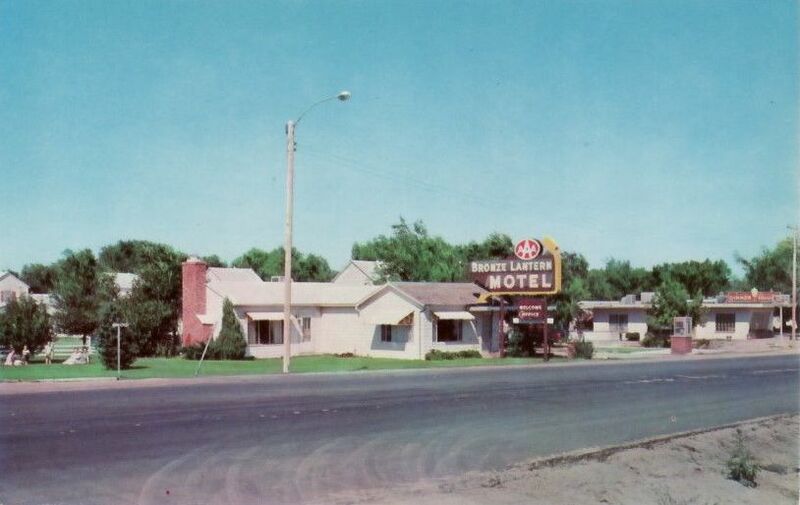 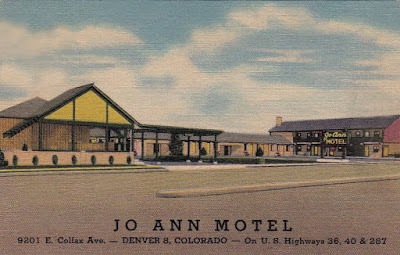 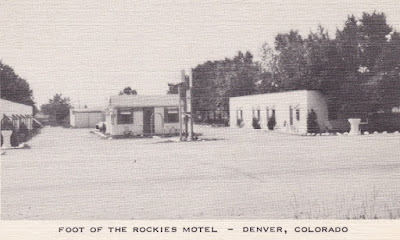 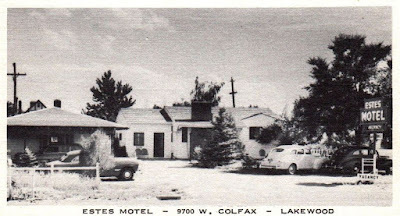 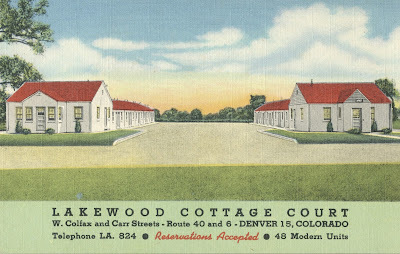 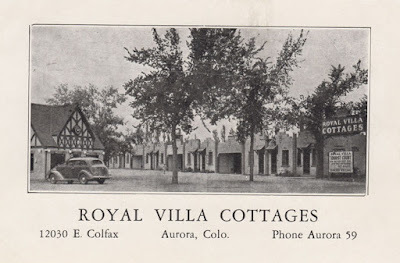 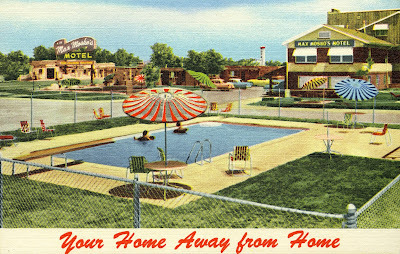 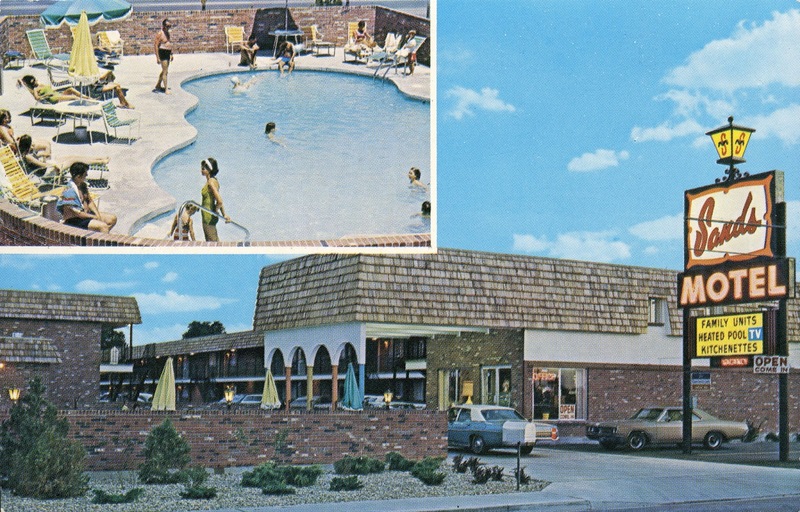 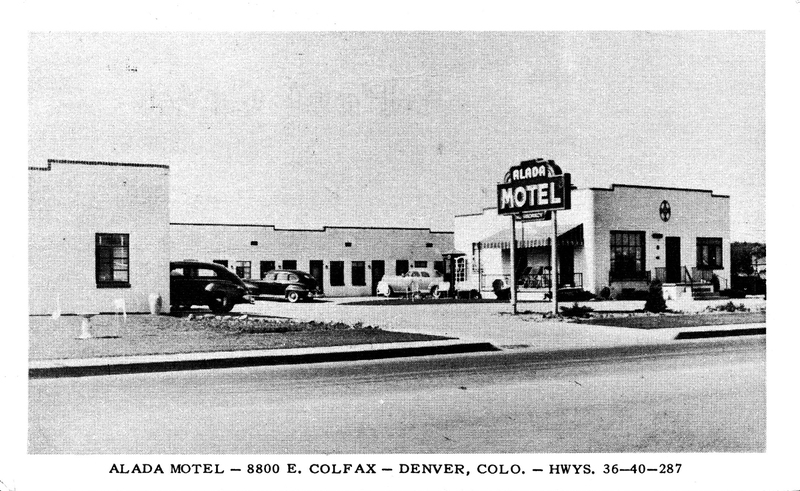 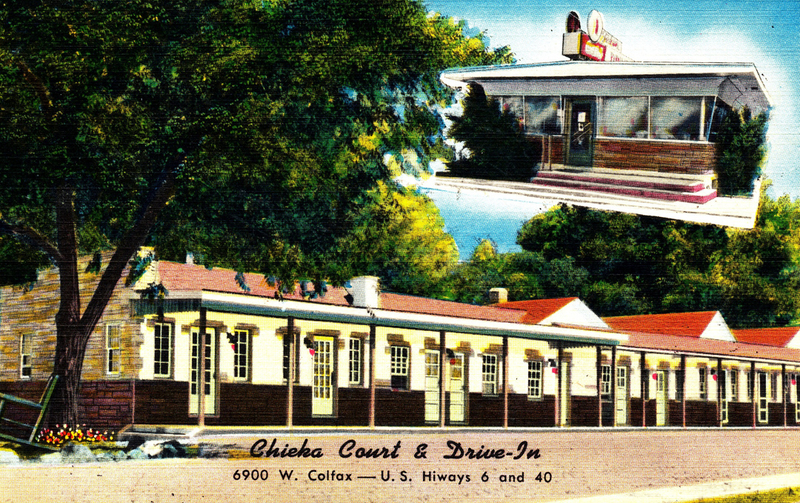 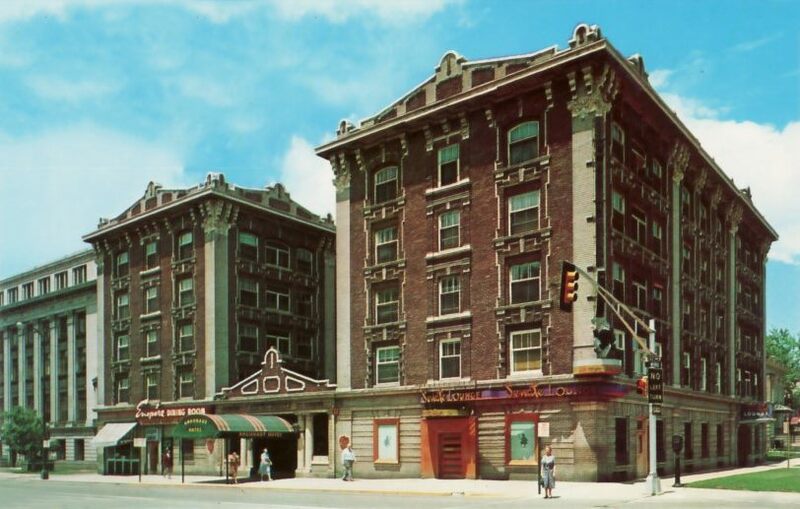 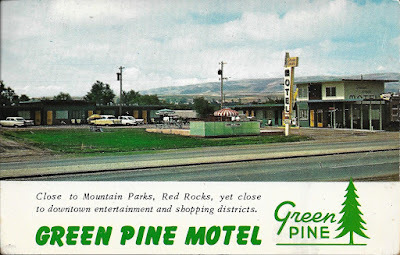 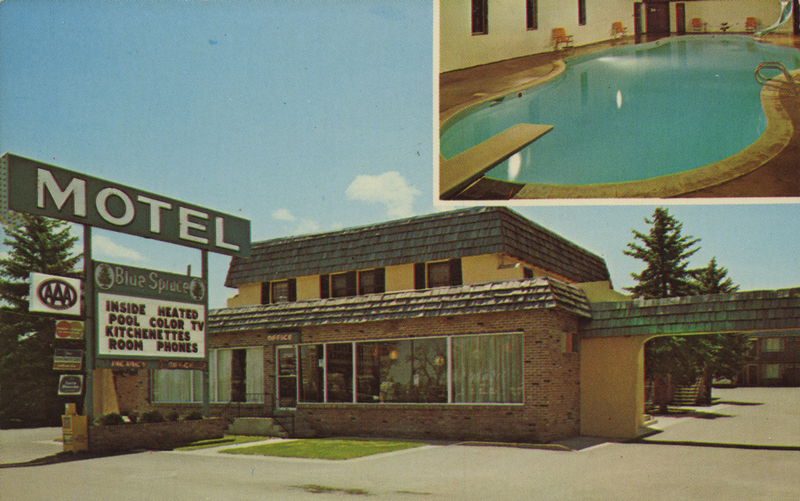 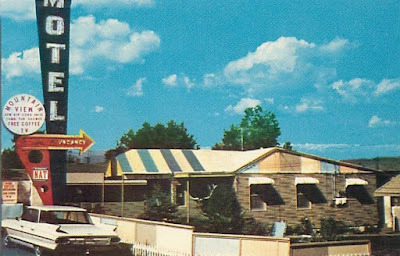 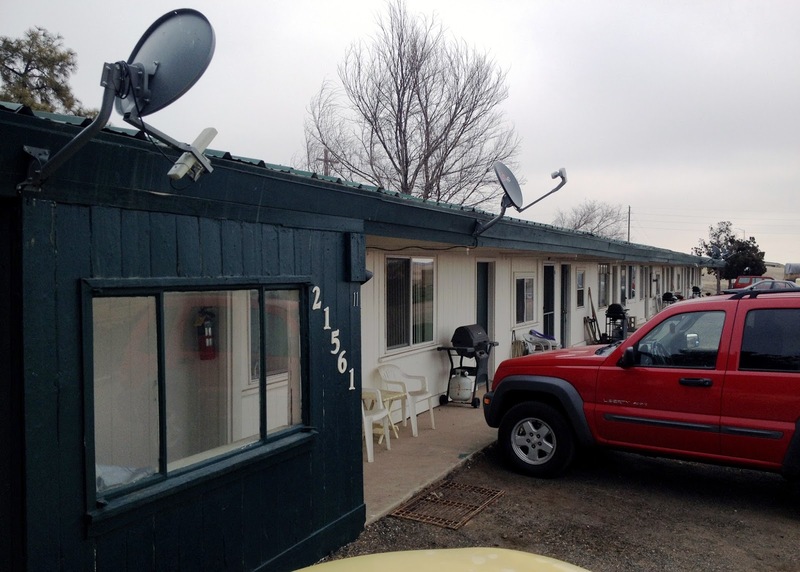 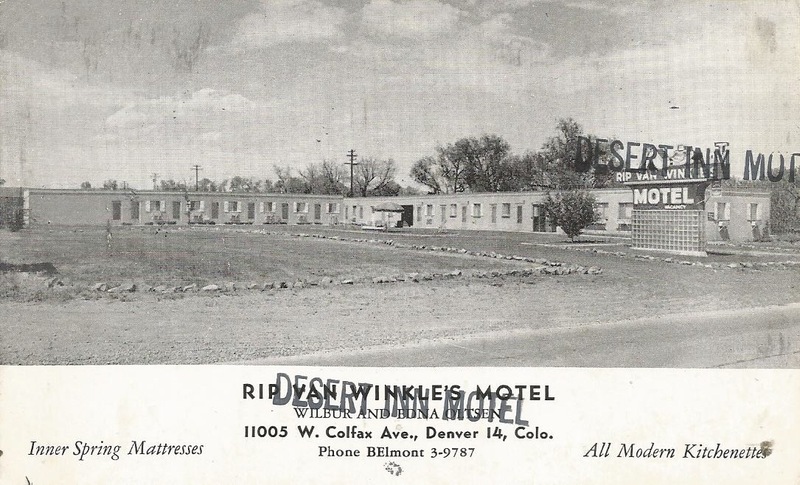 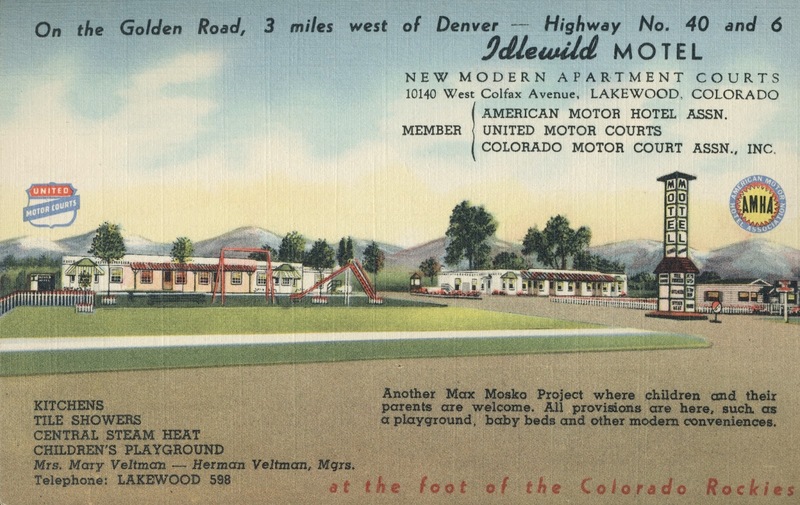 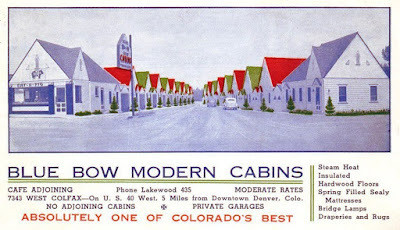 Motels on Colfax were clean, well-maintained, family friendly and did a booming business in the 1940's and 50's, all up until I-70 was built and took the tourist traffic. 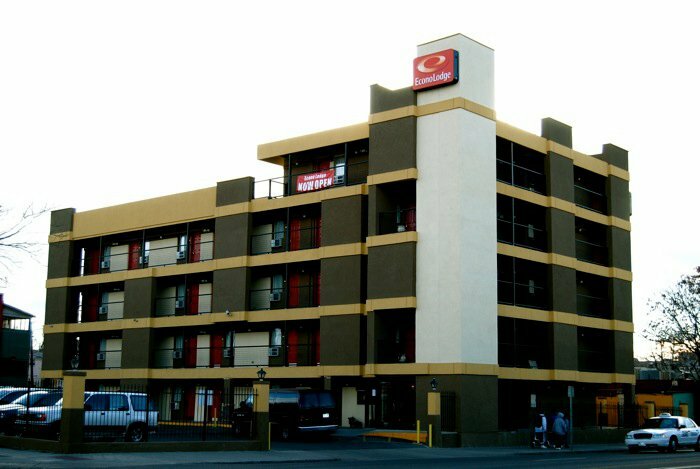 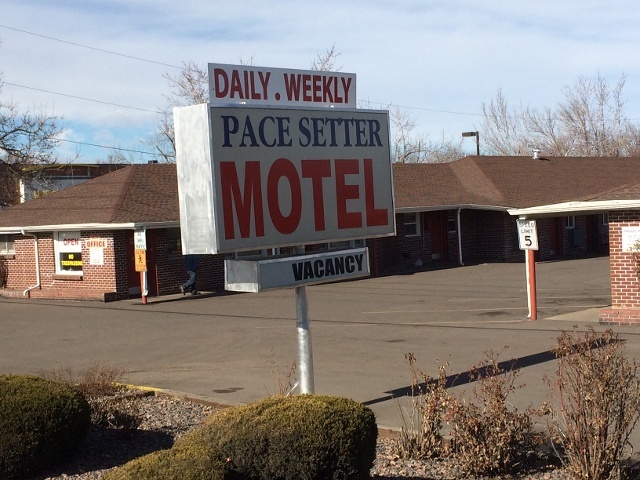 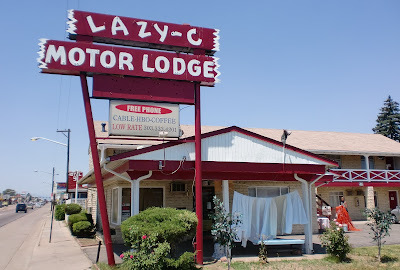 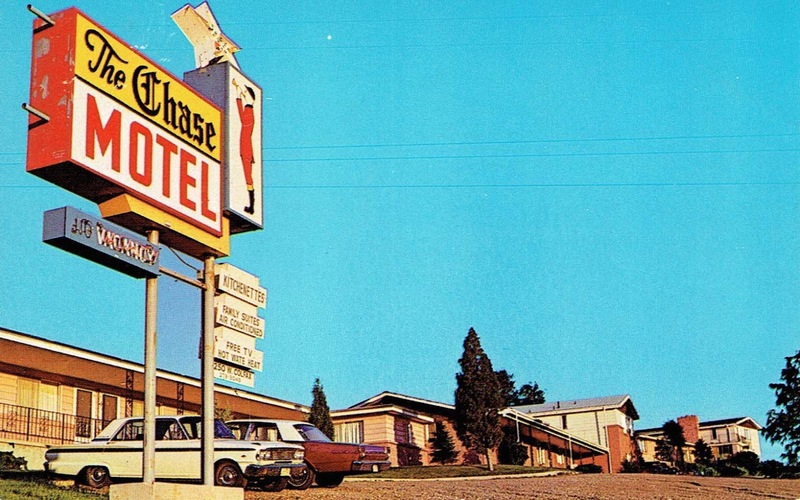 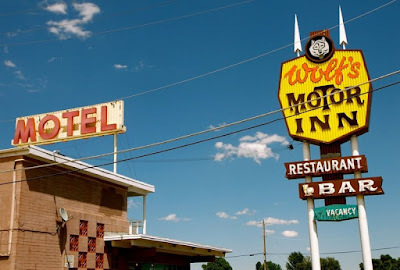 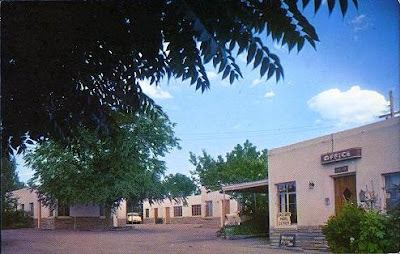 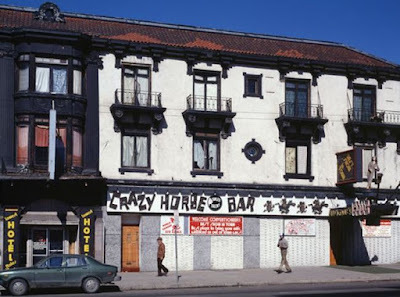 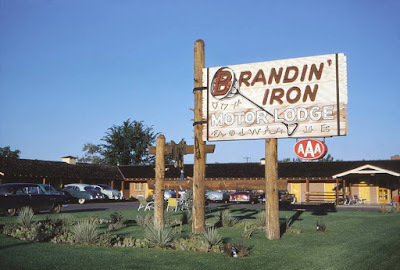 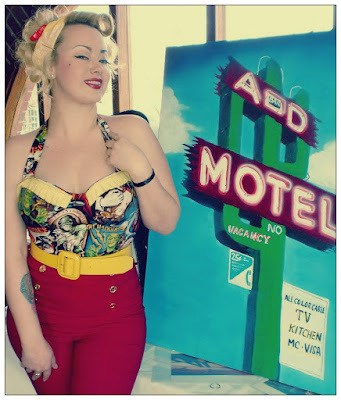 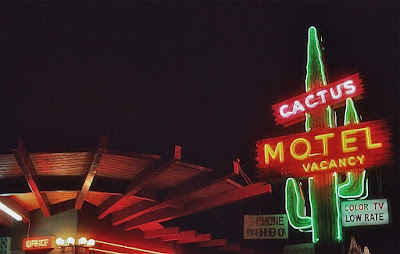 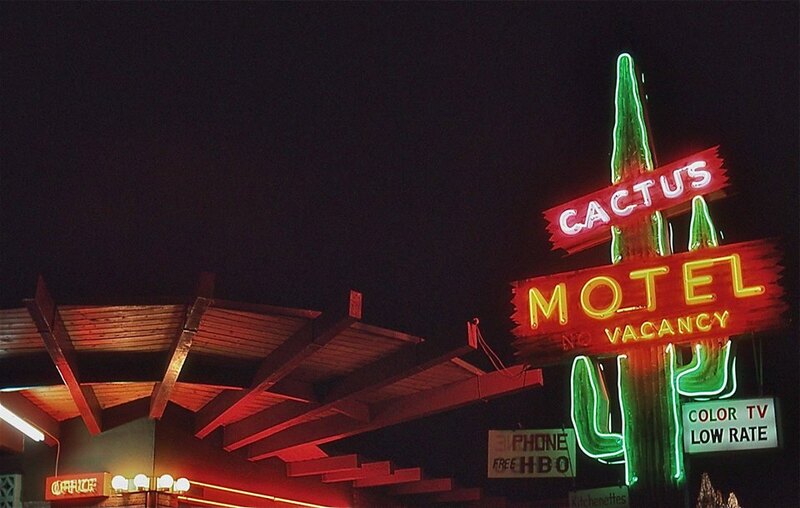 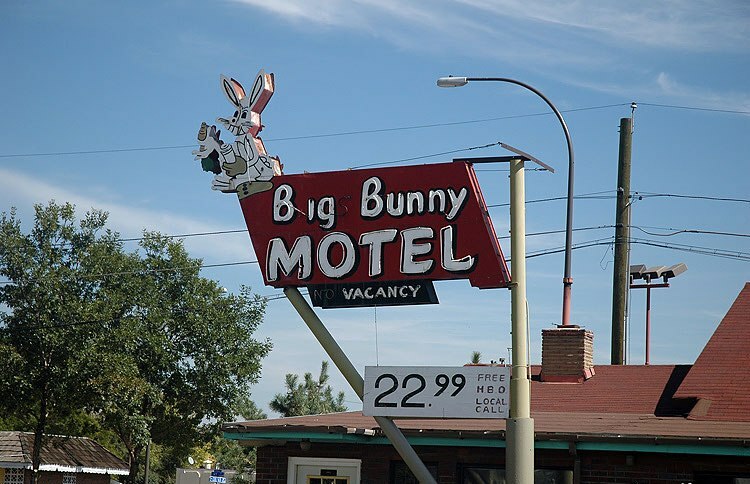 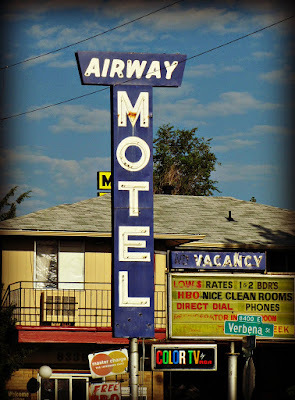 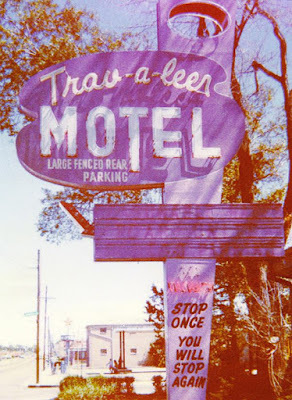 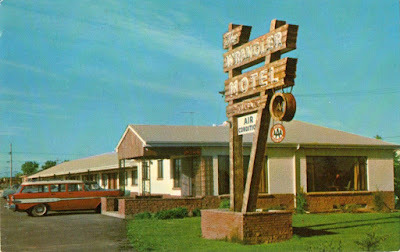 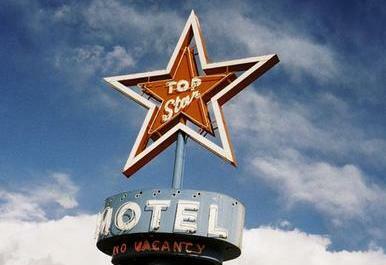 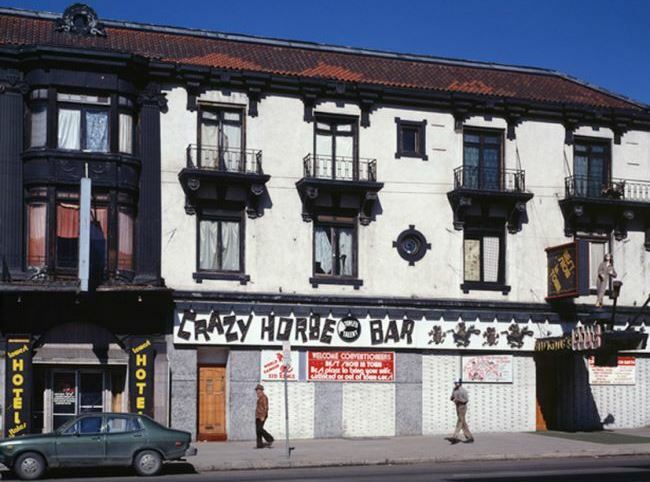 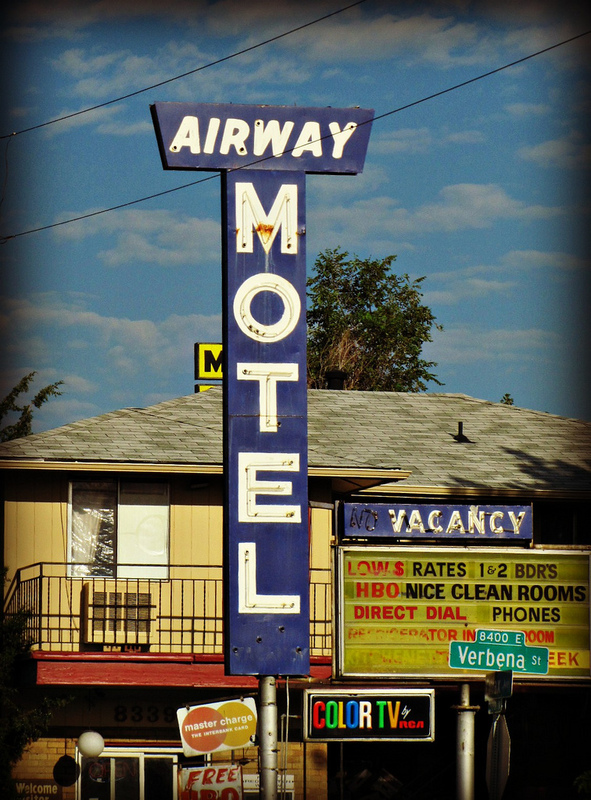 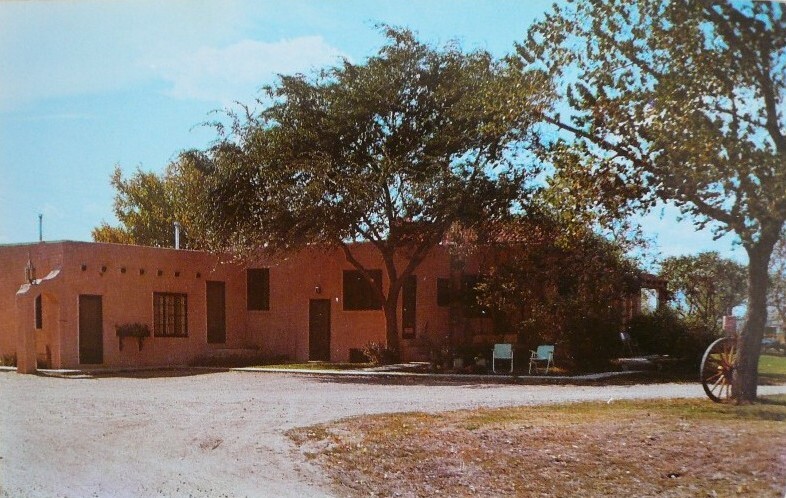 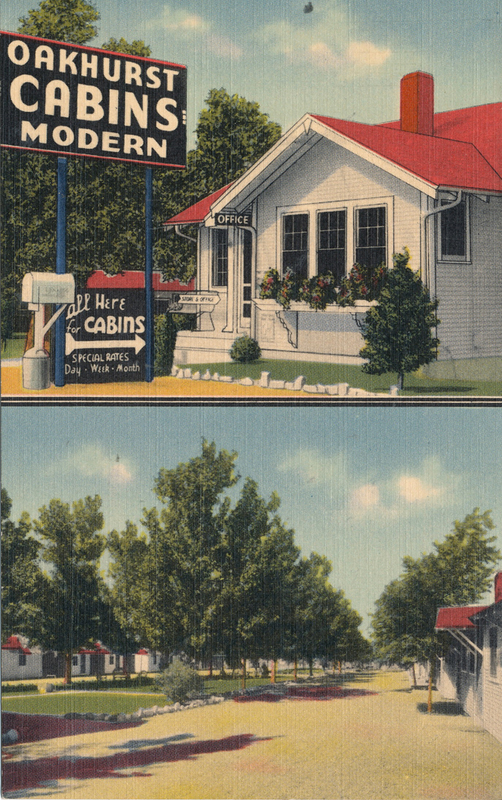 Here is a complete list of all the motels I could find, past or present, on the Longest Commercial Street in the U.S.A. Let's go for a drive! 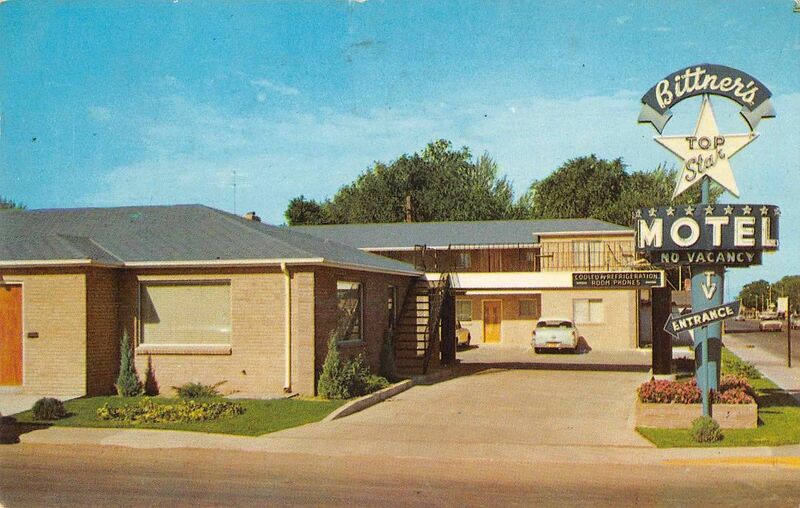 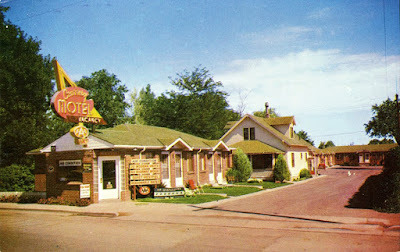 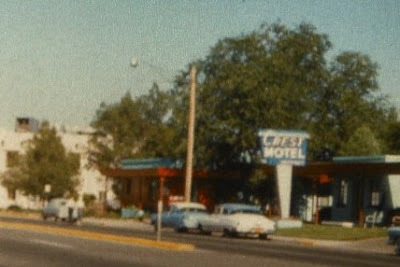 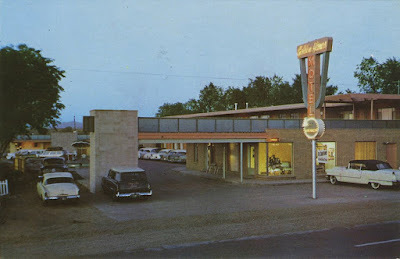 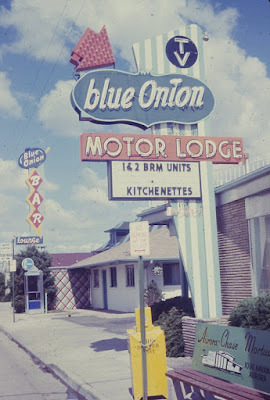 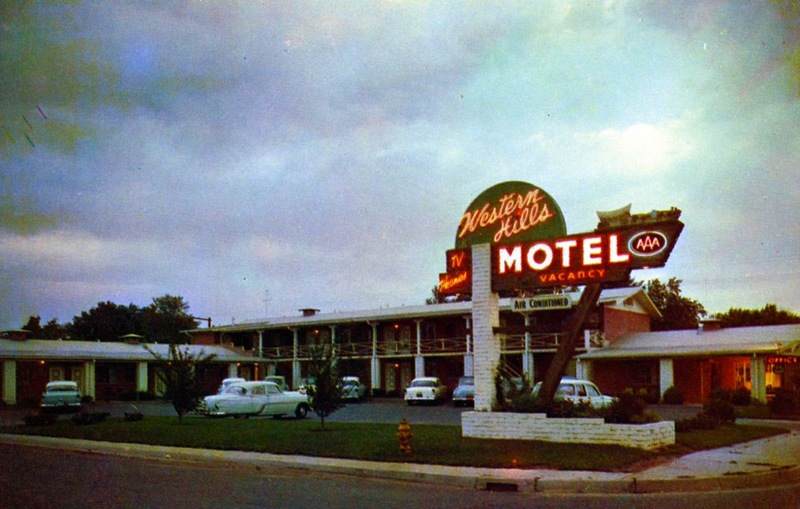 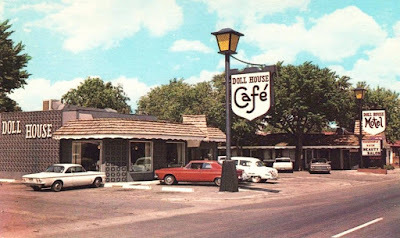 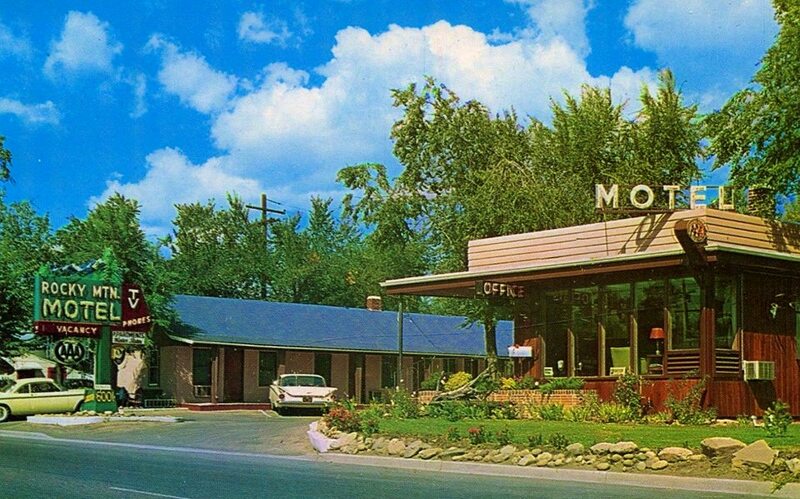 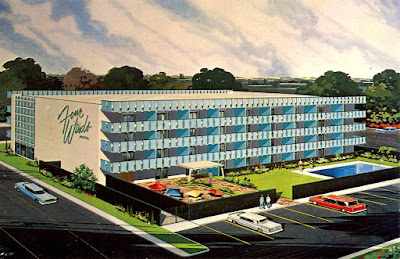 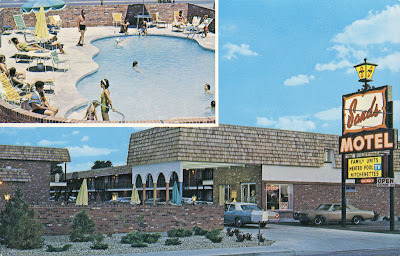 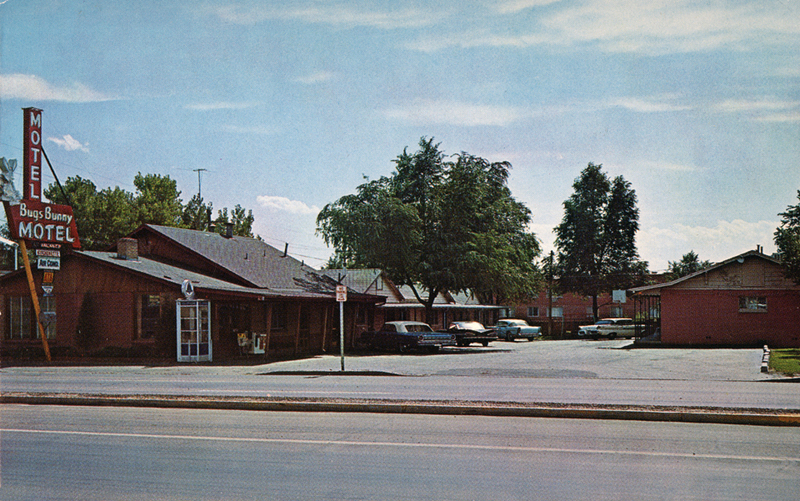 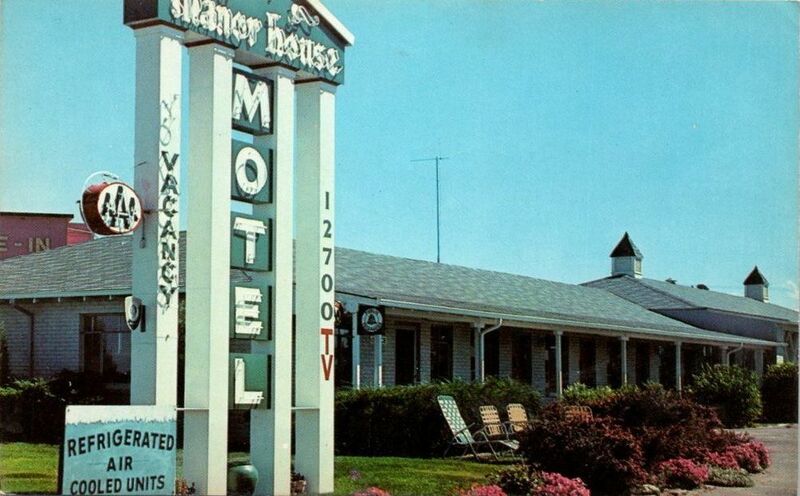 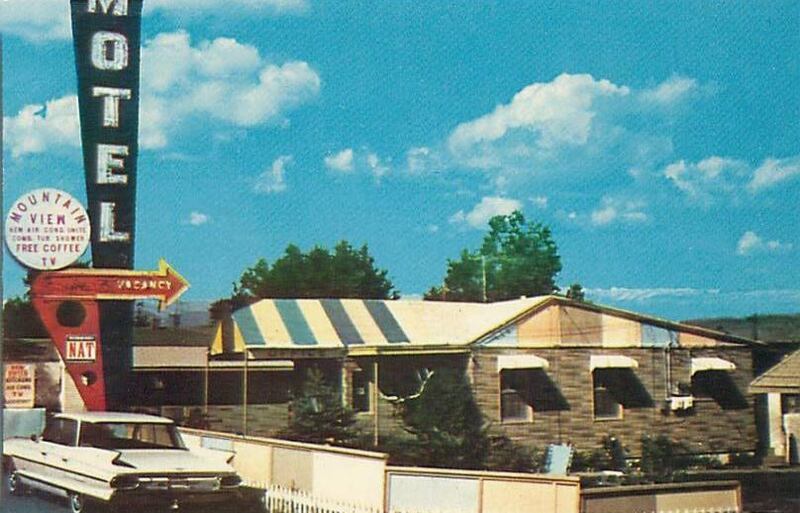 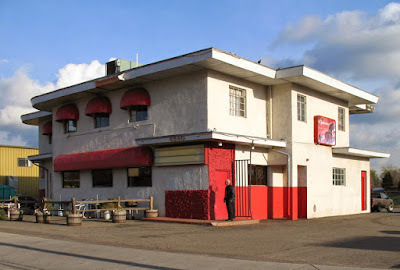 I remember when Wolf's Motor Inn was a good place to go for steak. I have a series of black and whites of many of these places if you would like me to send? Thus is an incredible list ..thank you . Most of these places will be gone very soon. 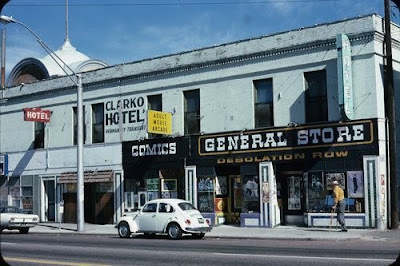 Great to preserve history!